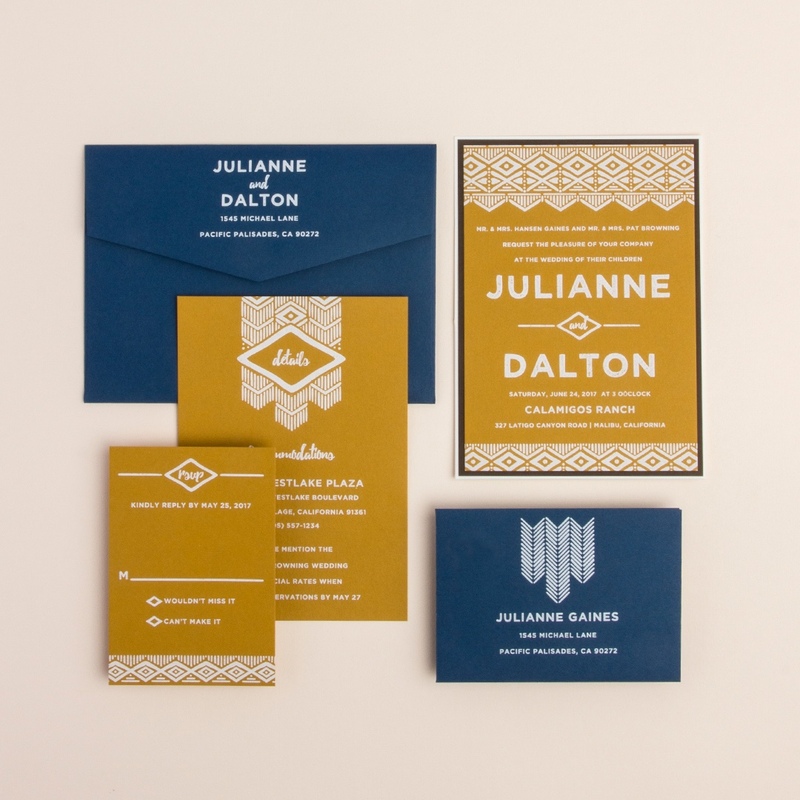 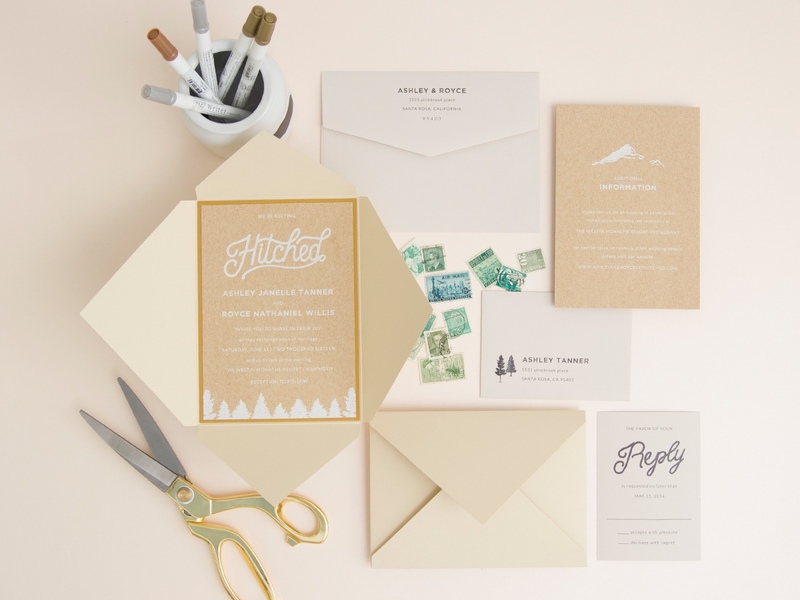 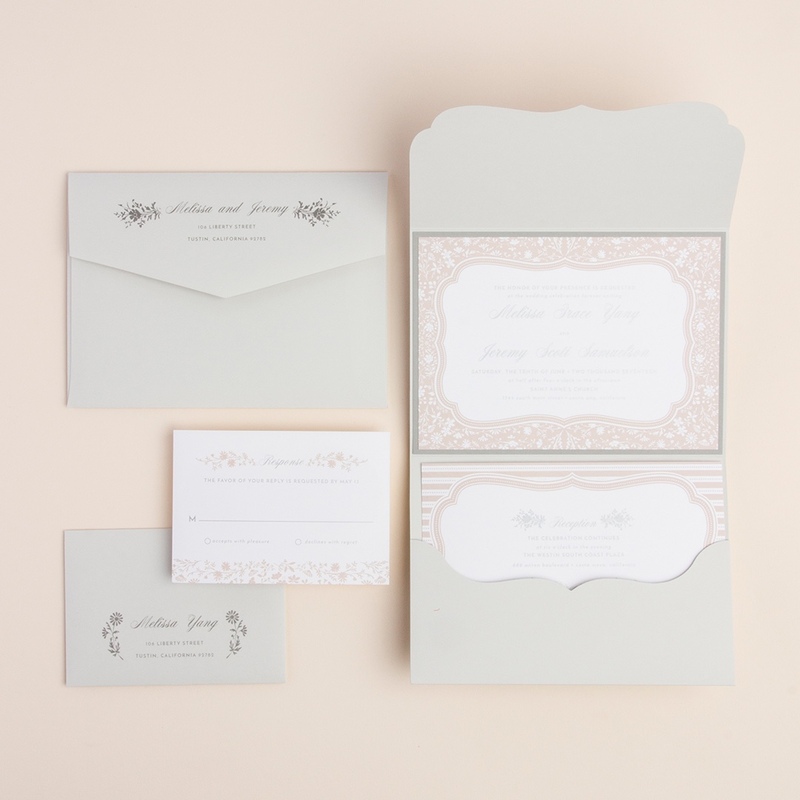 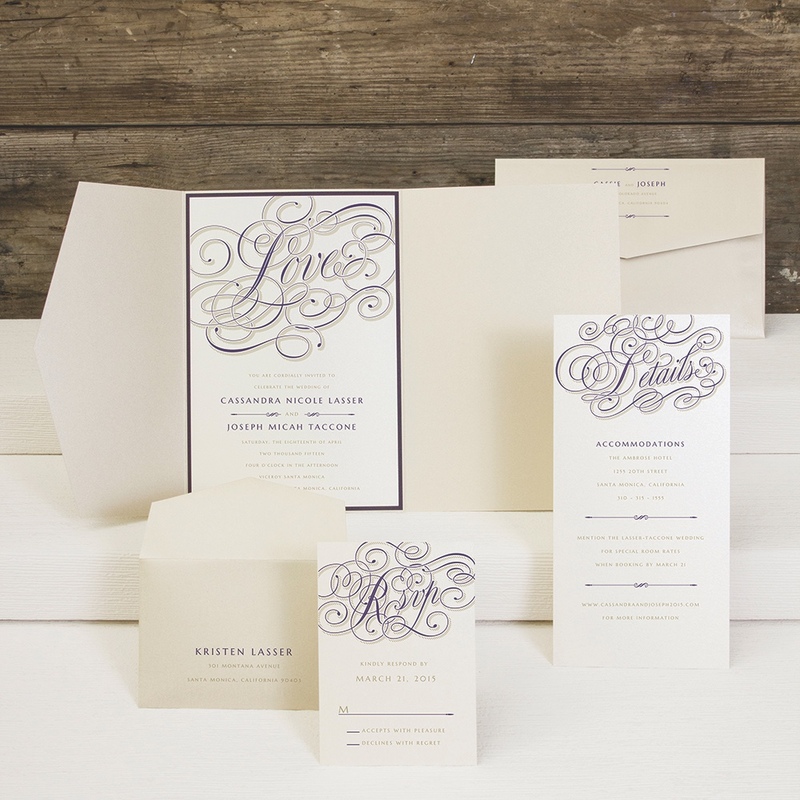 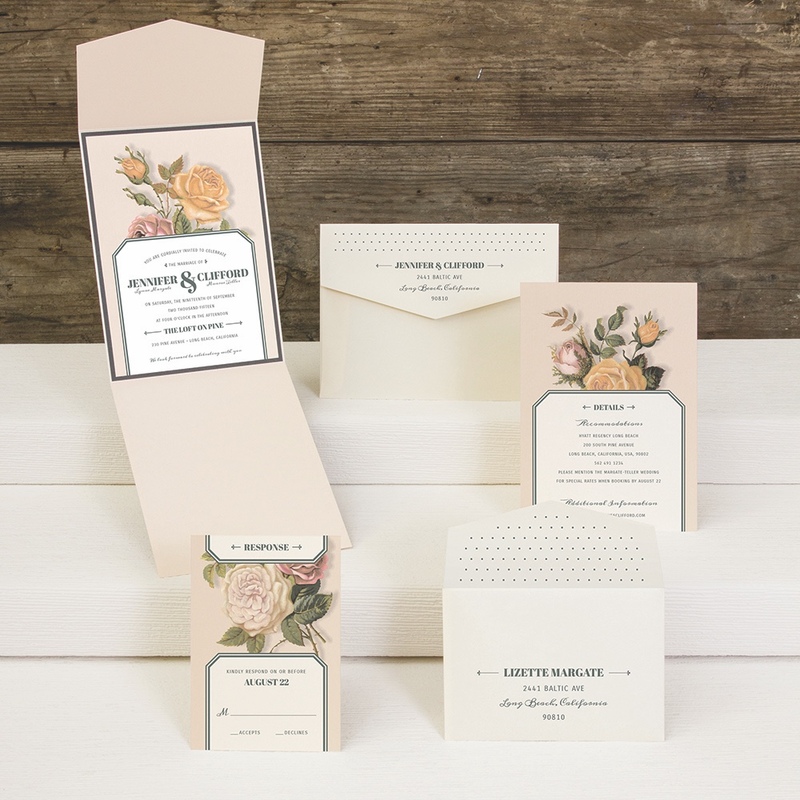 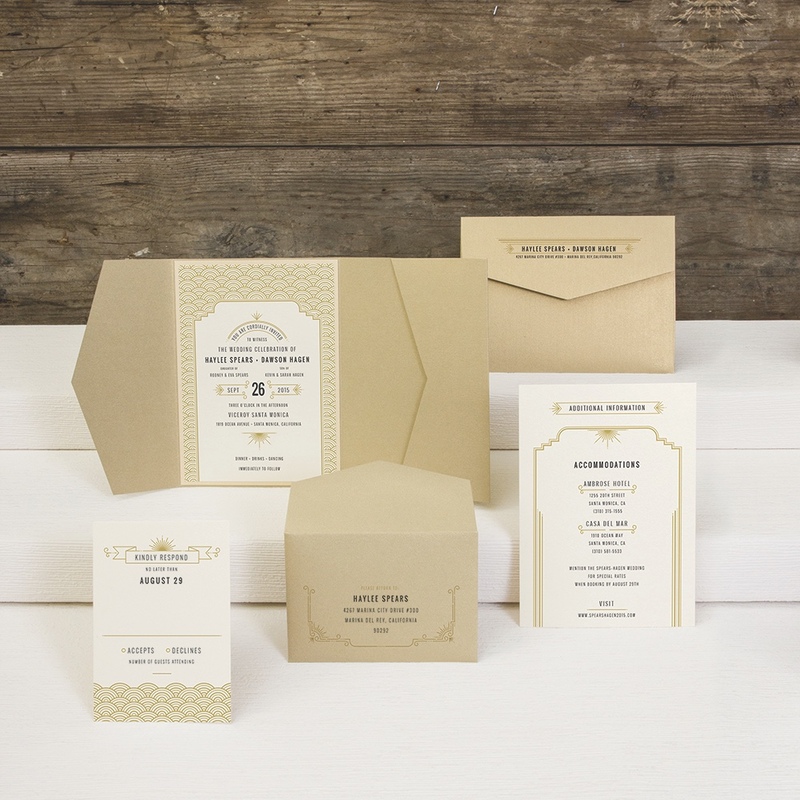 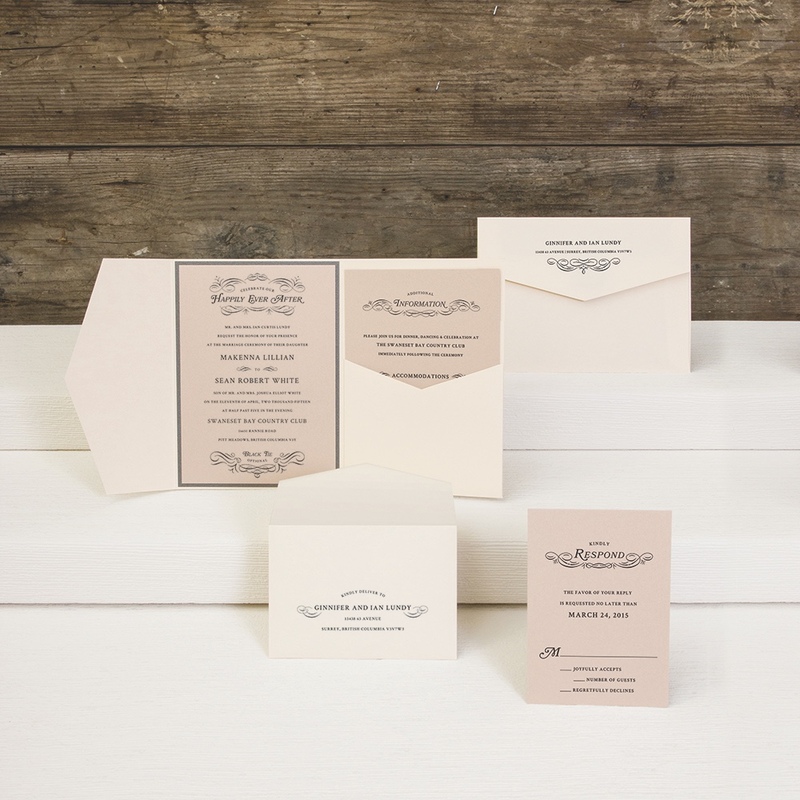 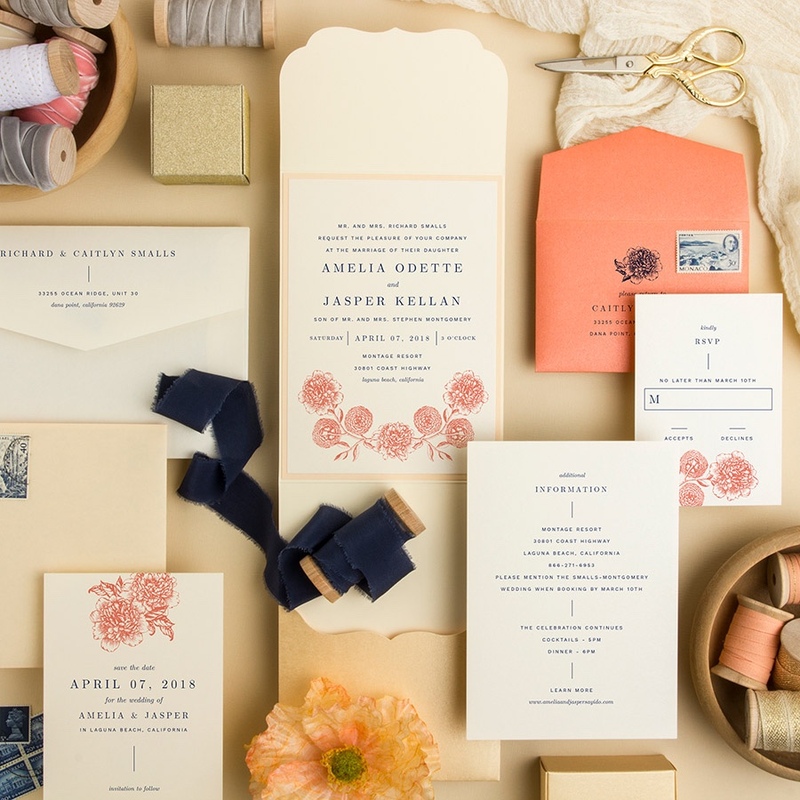 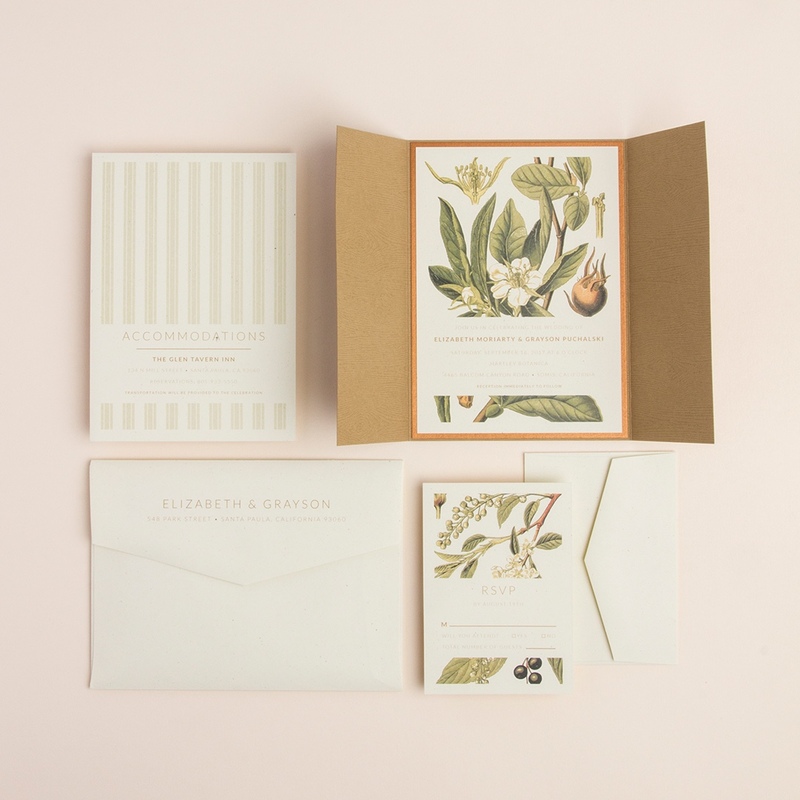 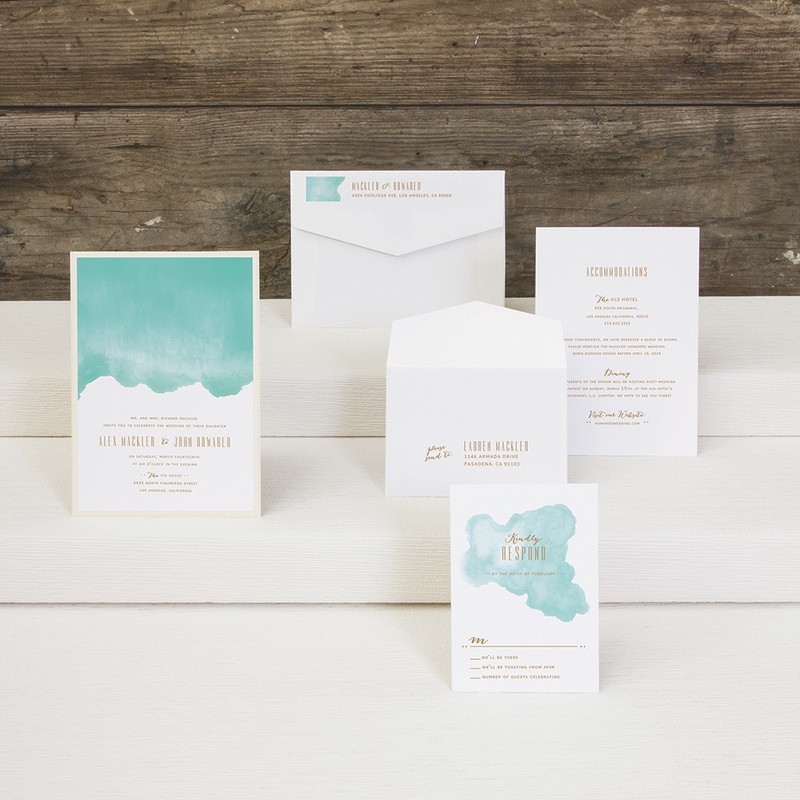 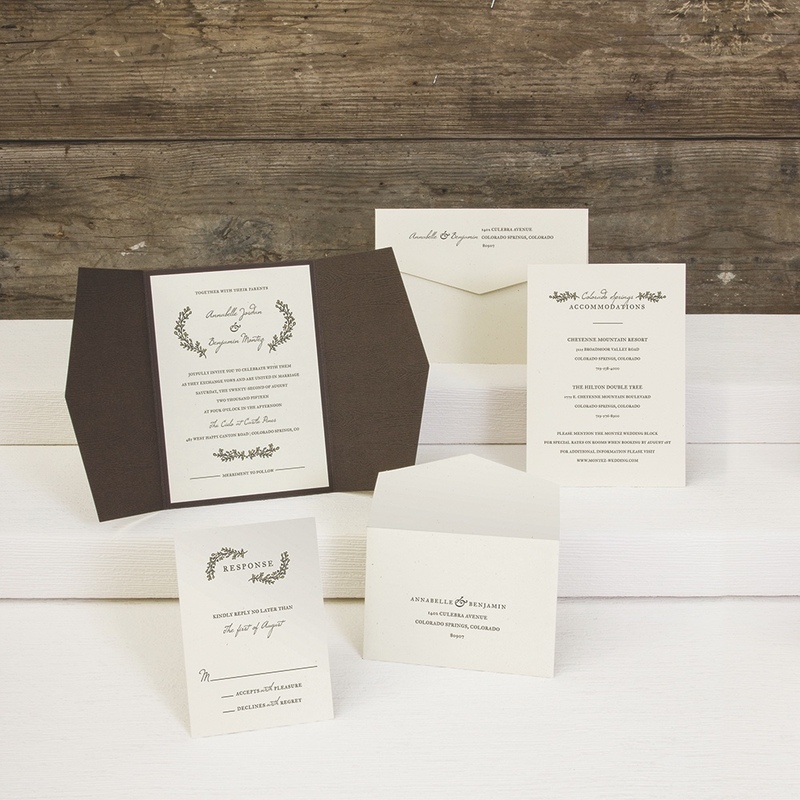 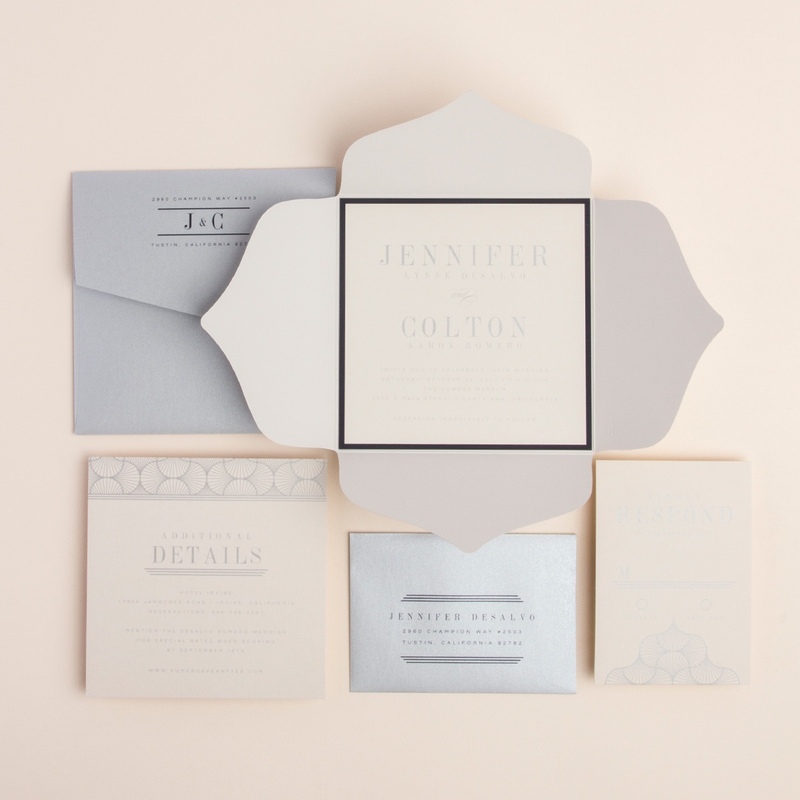 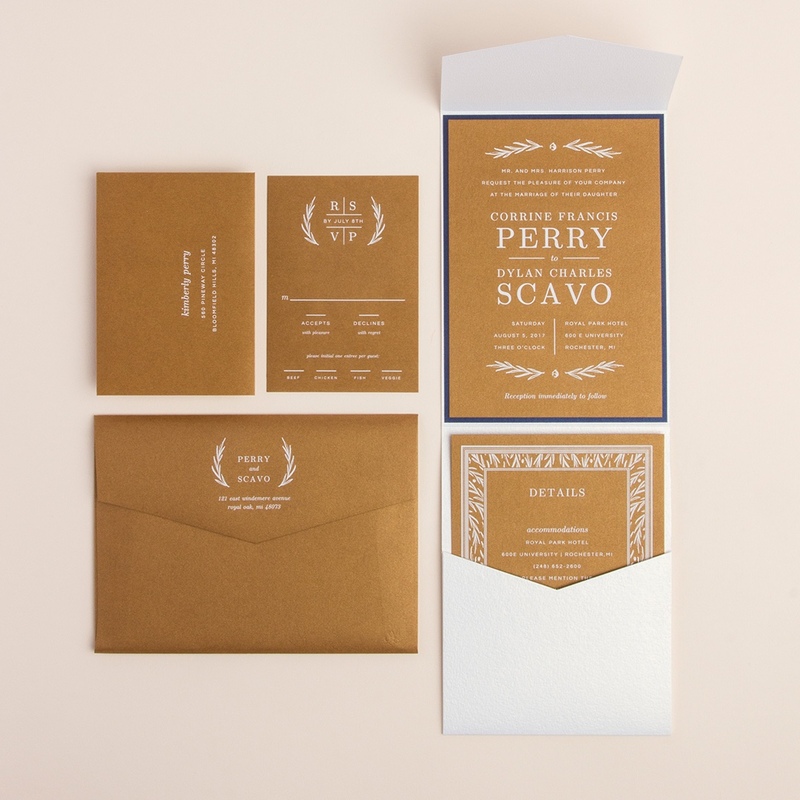 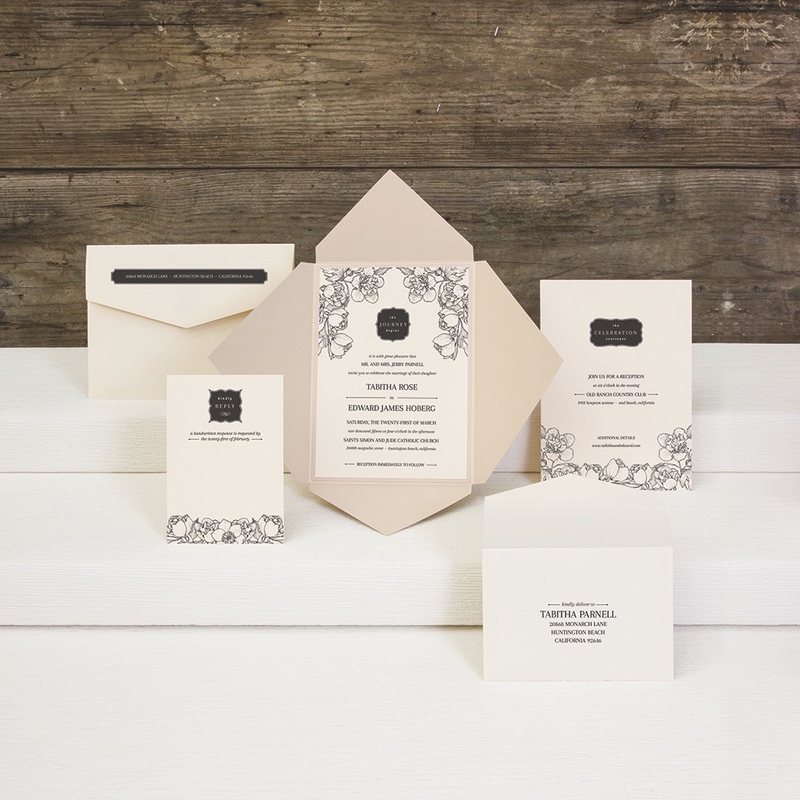 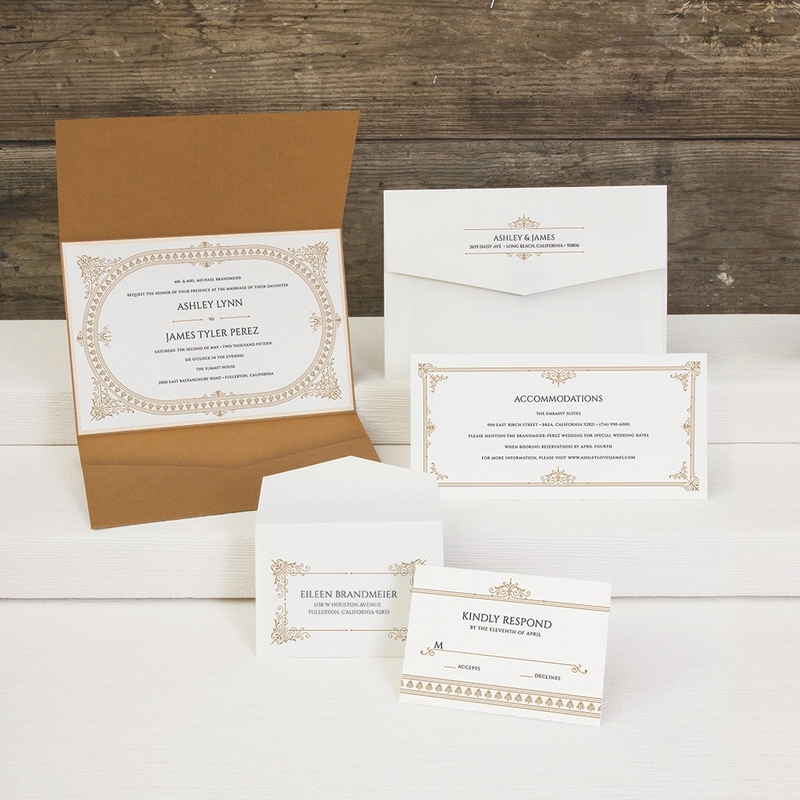 The wedding collection by Envelopments offers limitless customization options. 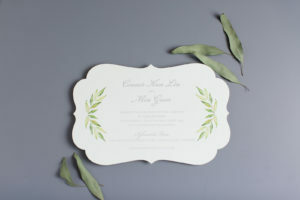 Change the enclosure style, papers, printing method, colors, and more. 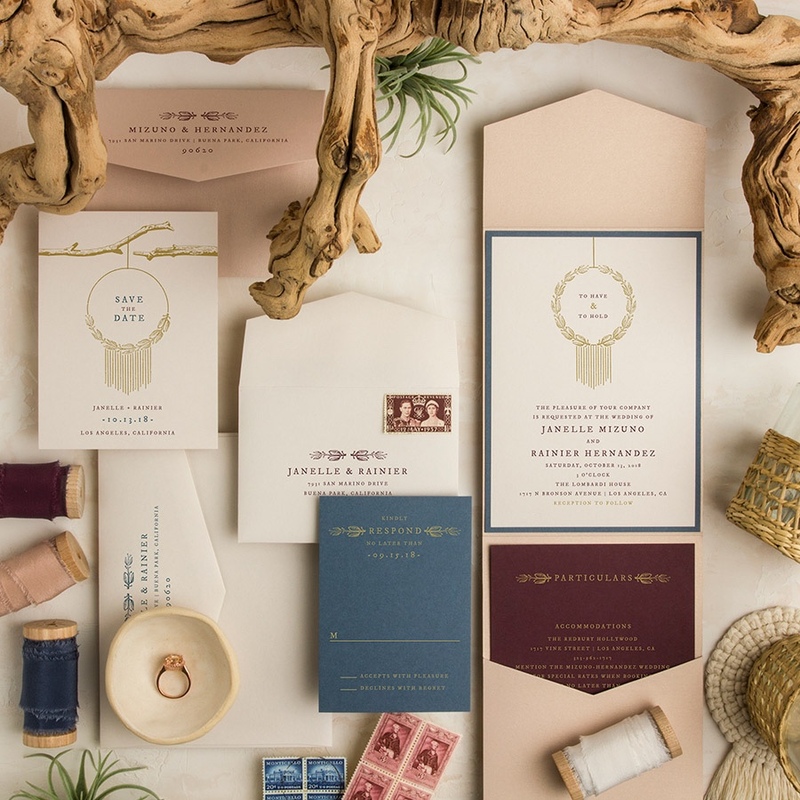 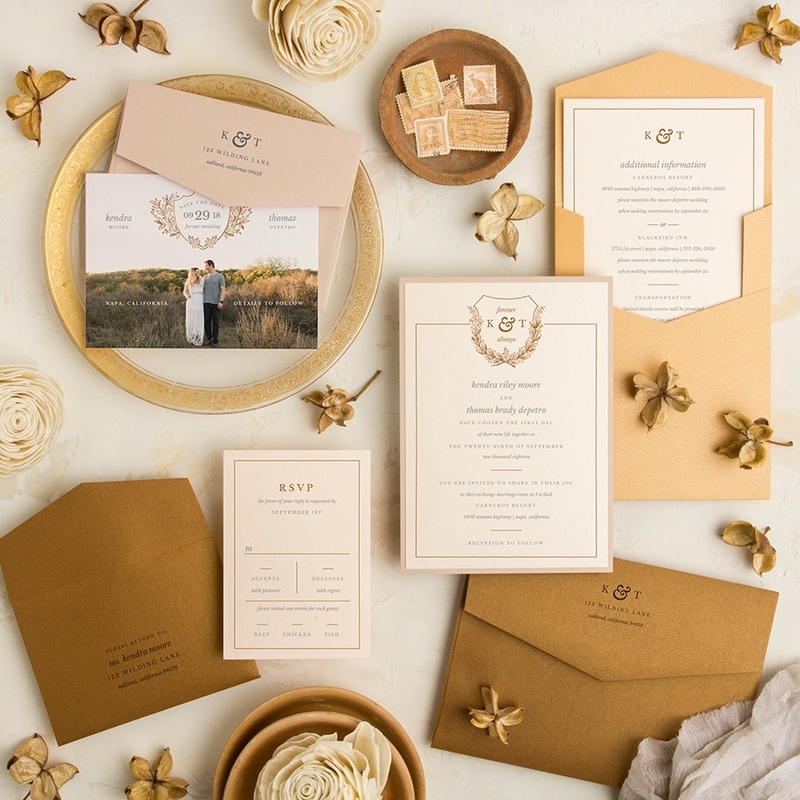 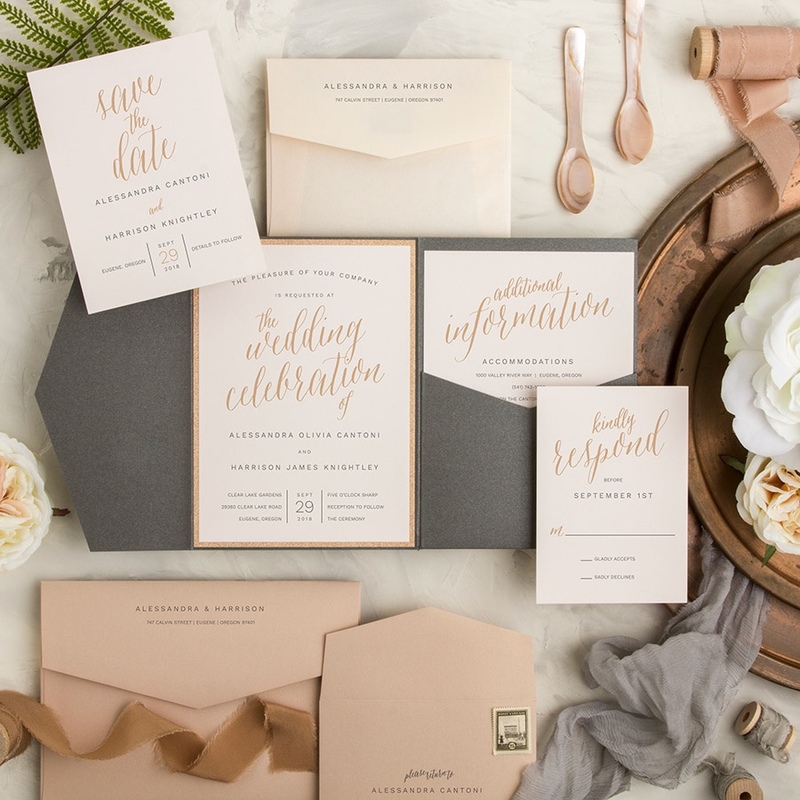 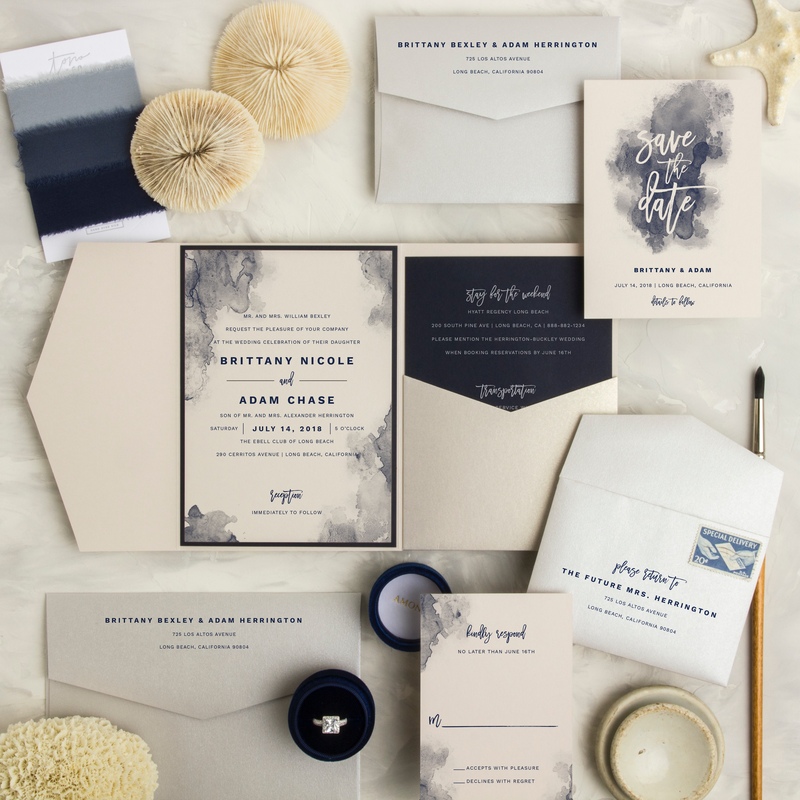 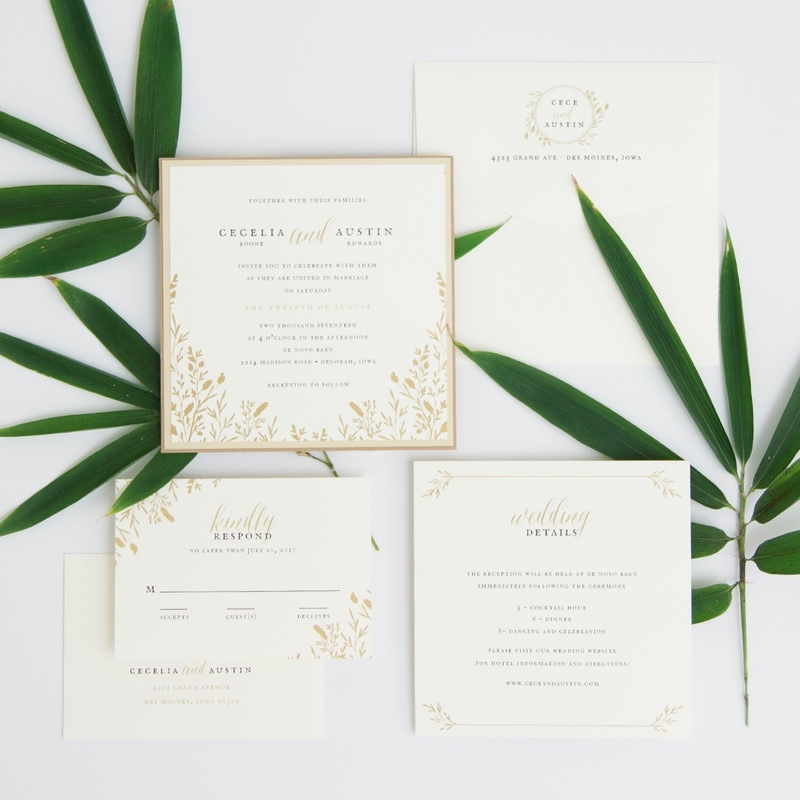 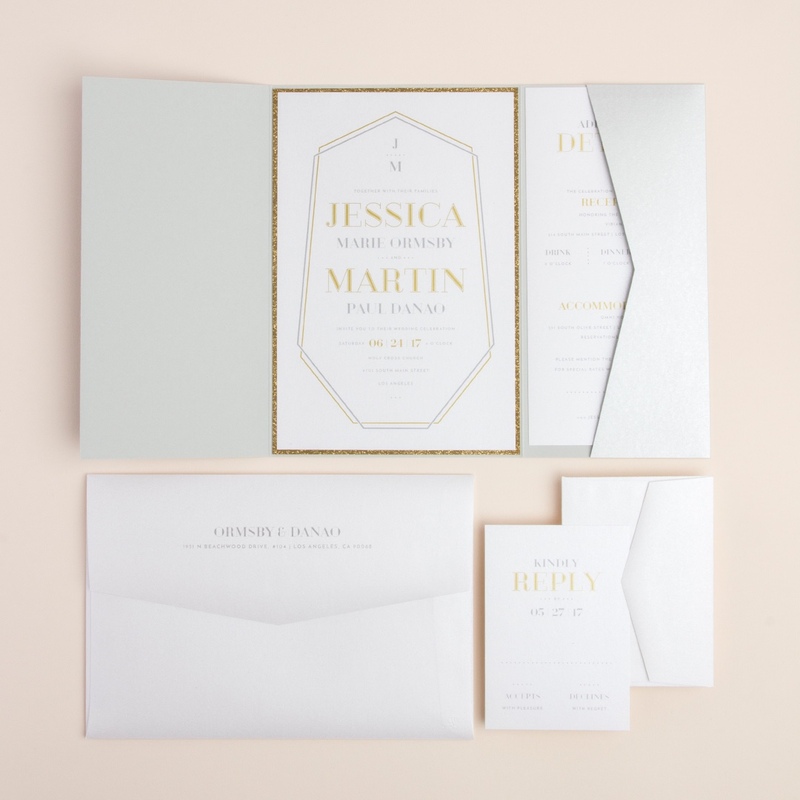 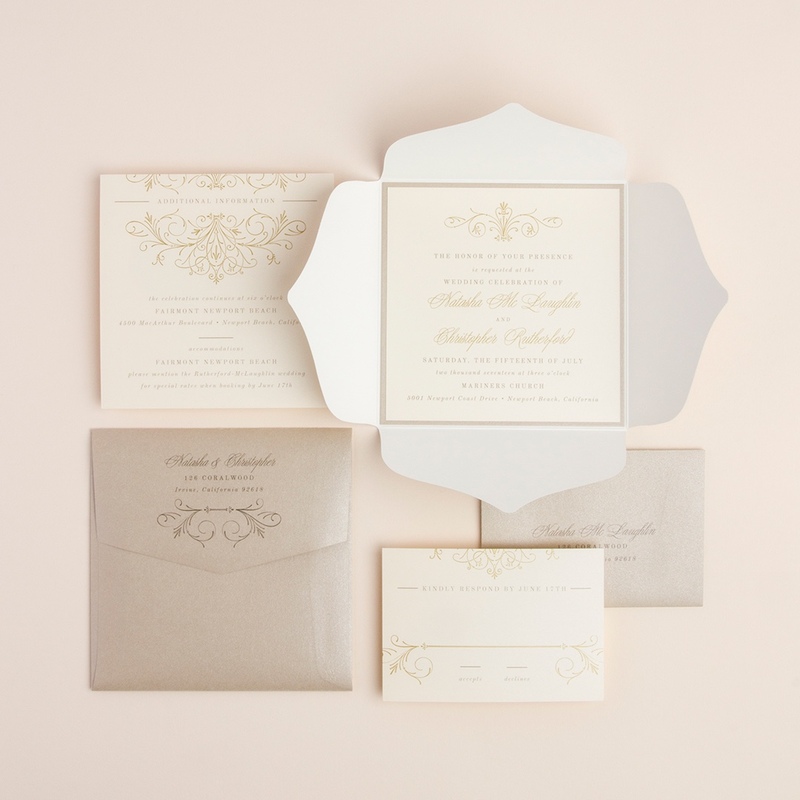 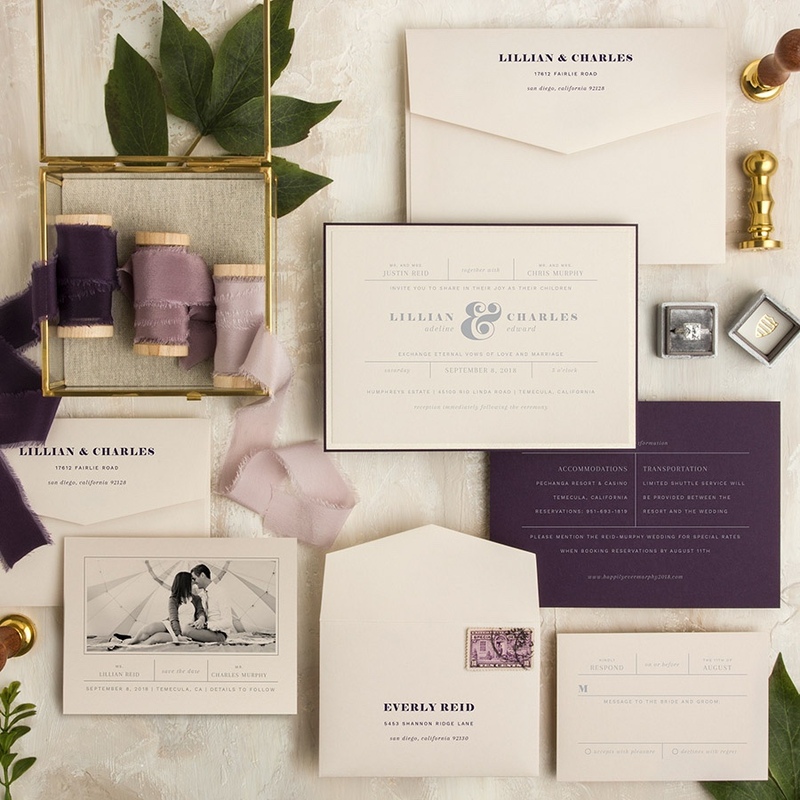 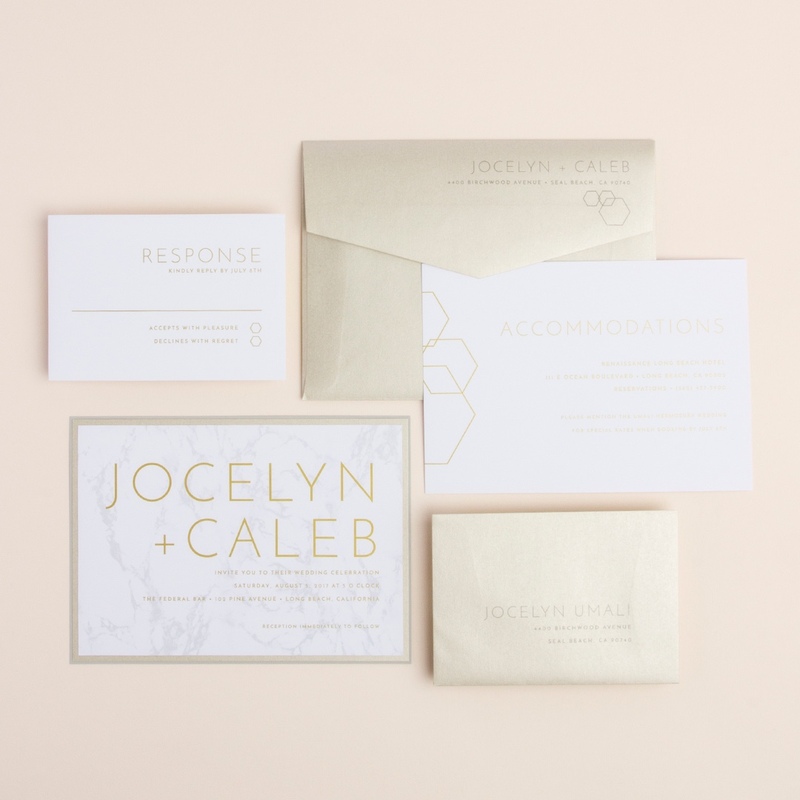 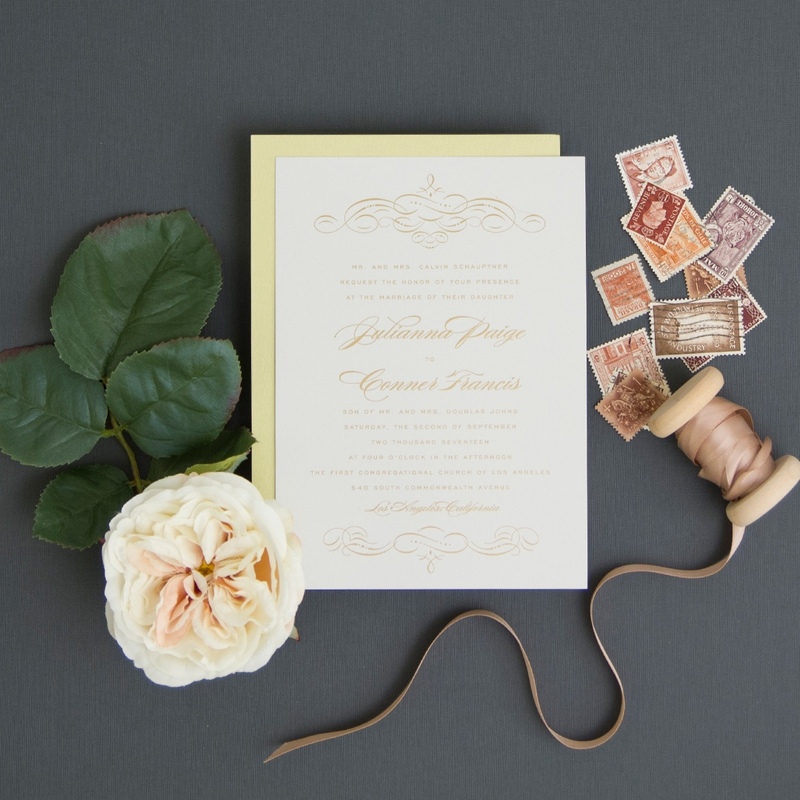 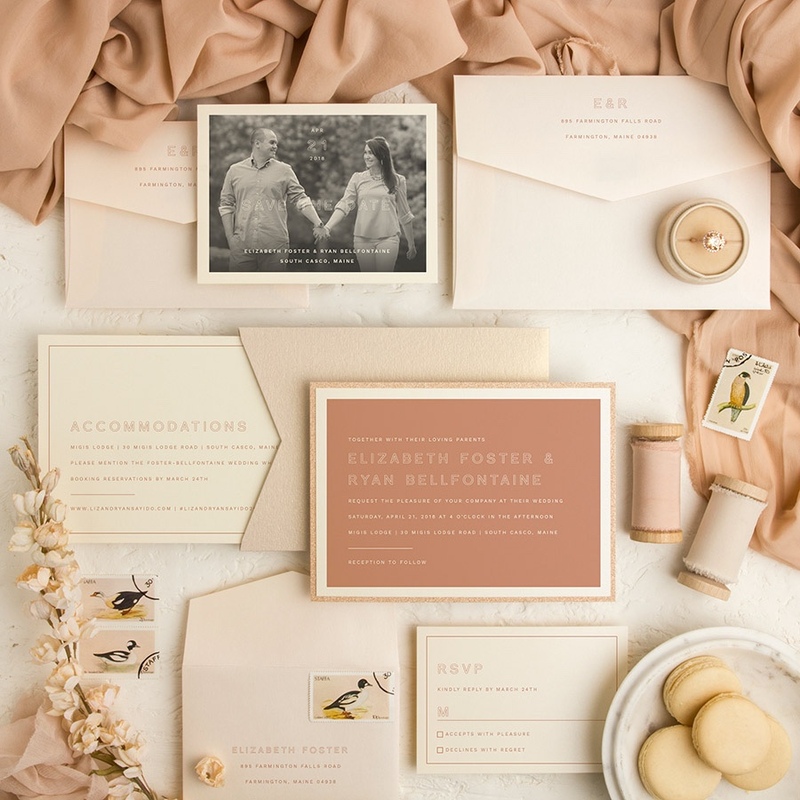 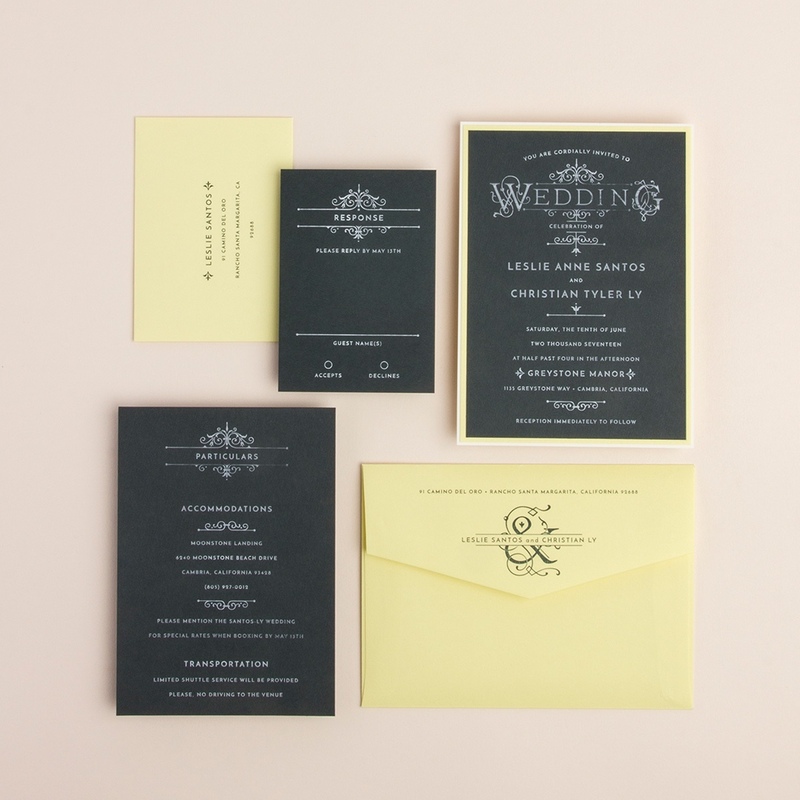 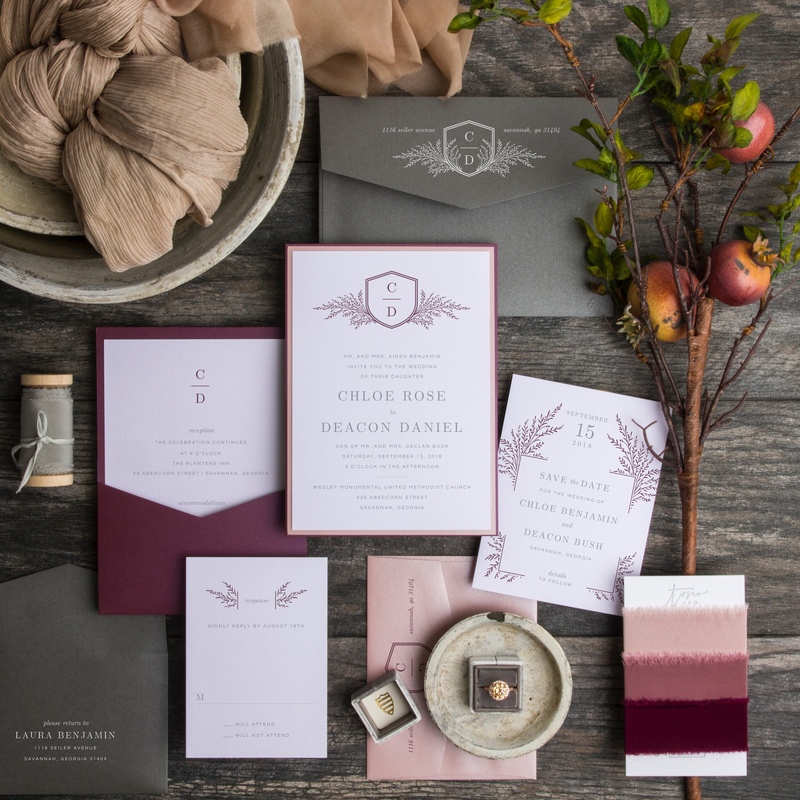 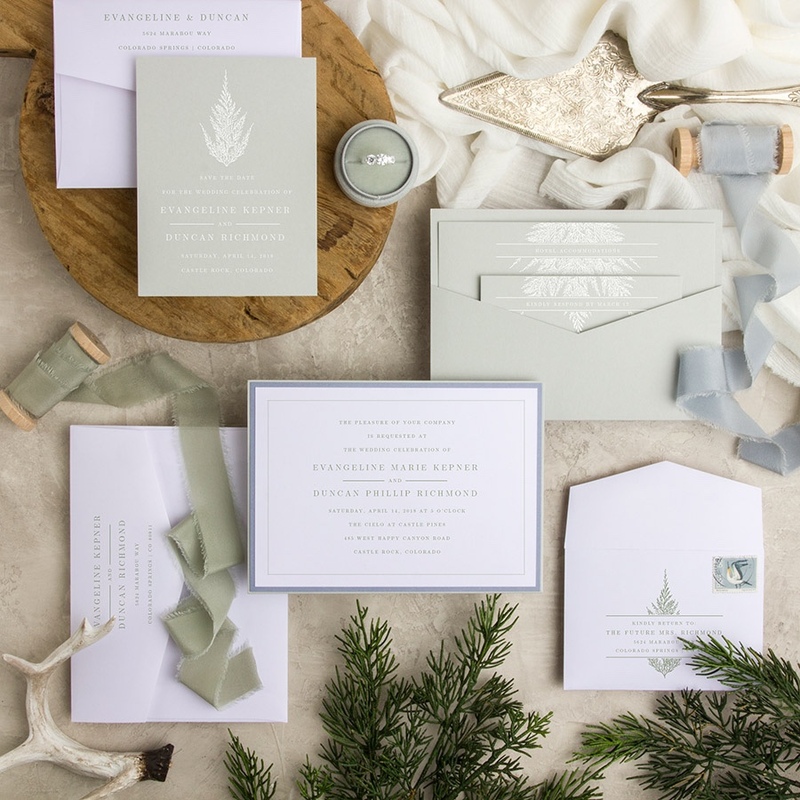 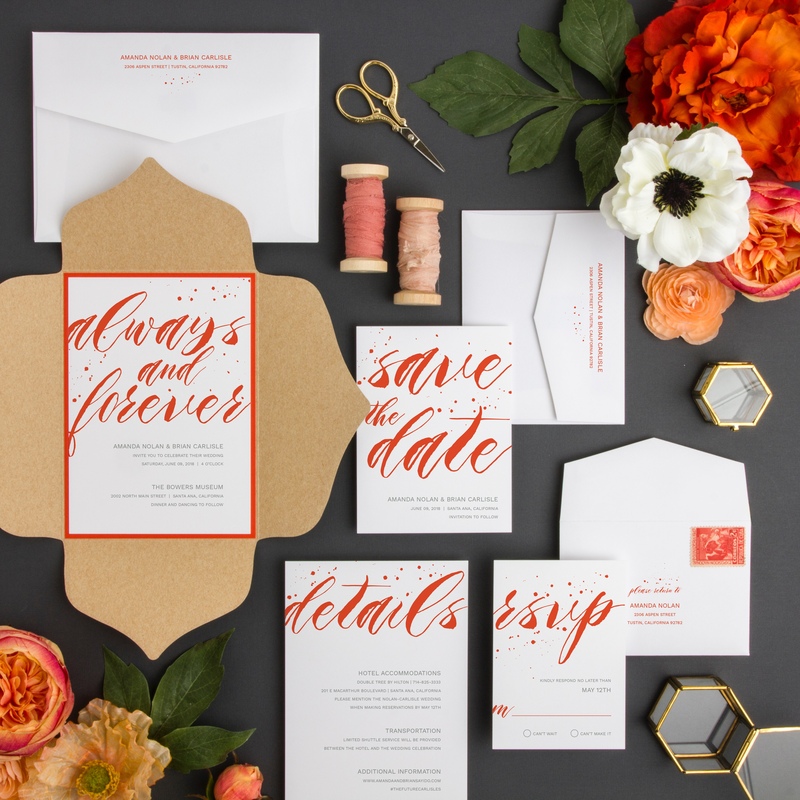 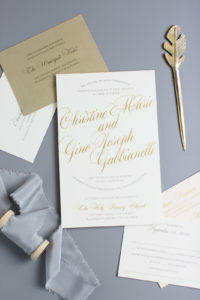 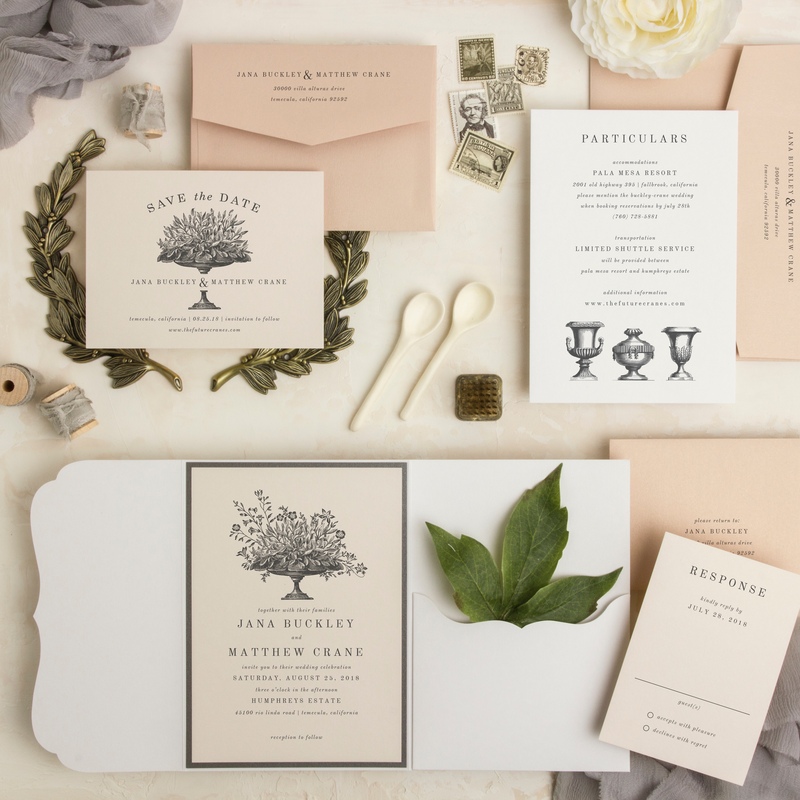 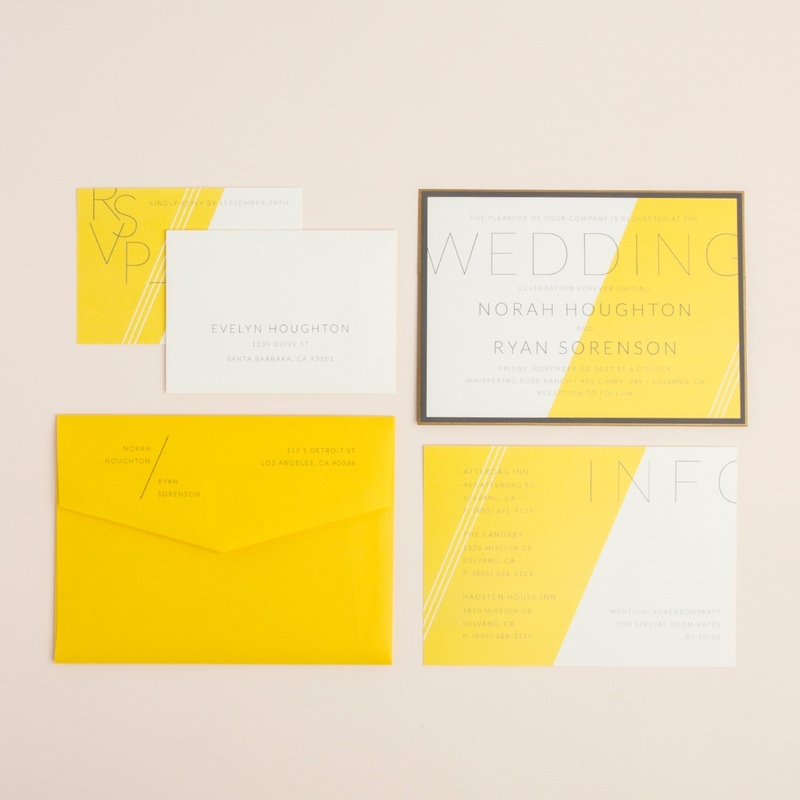 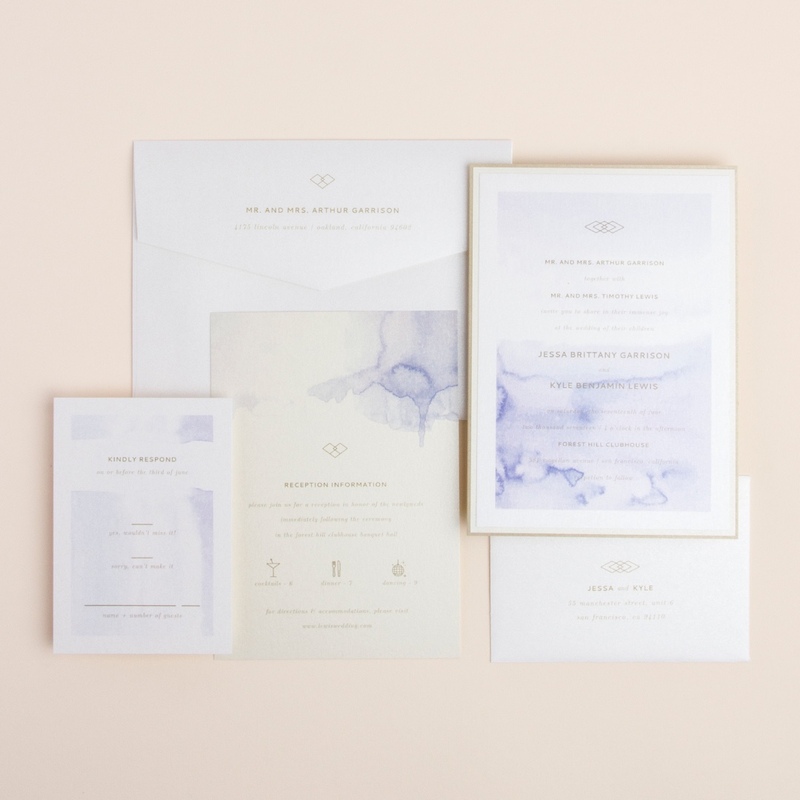 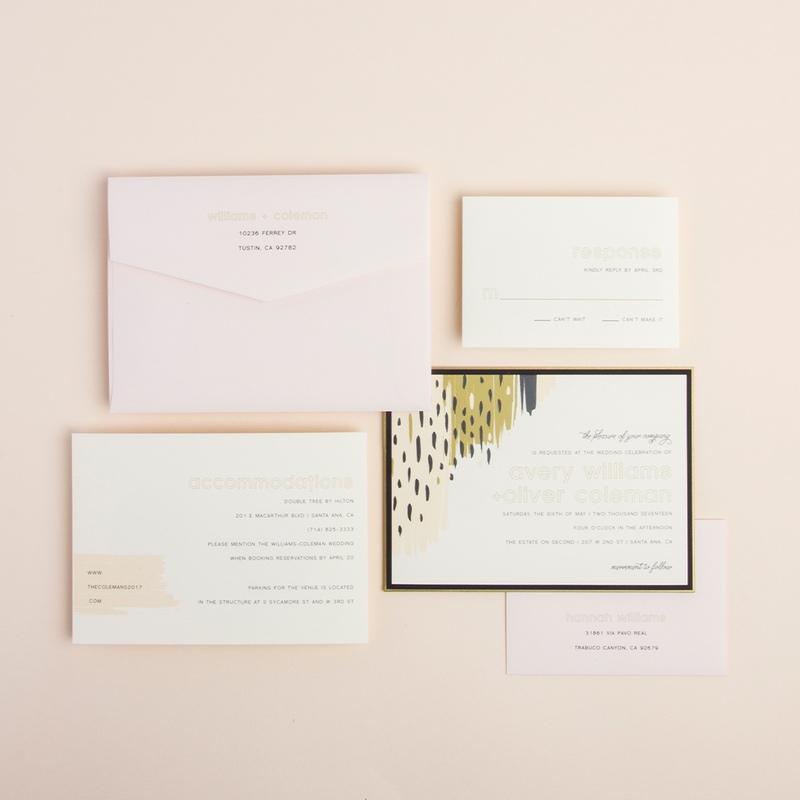 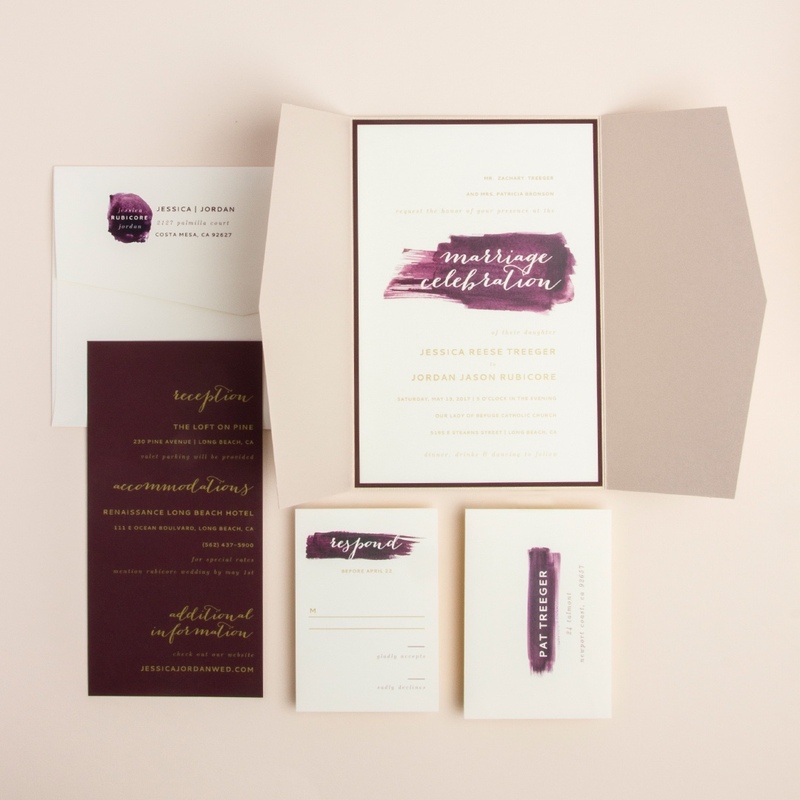 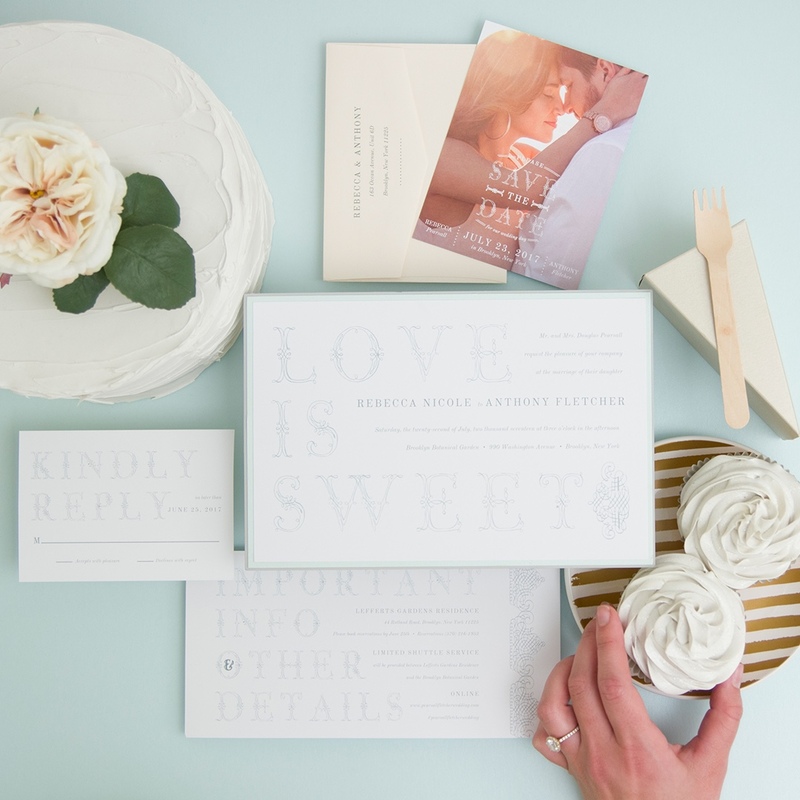 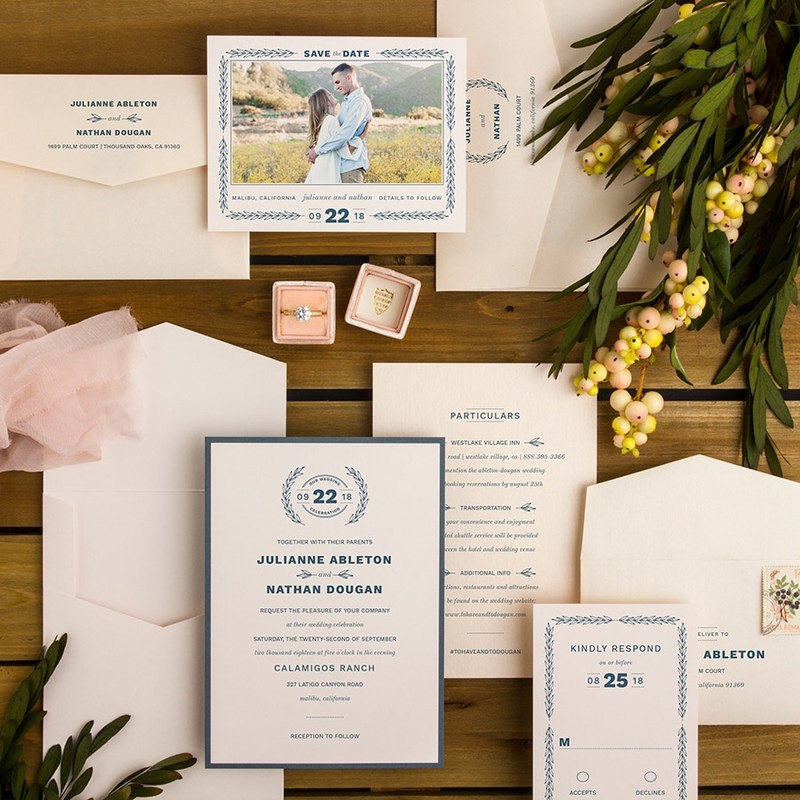 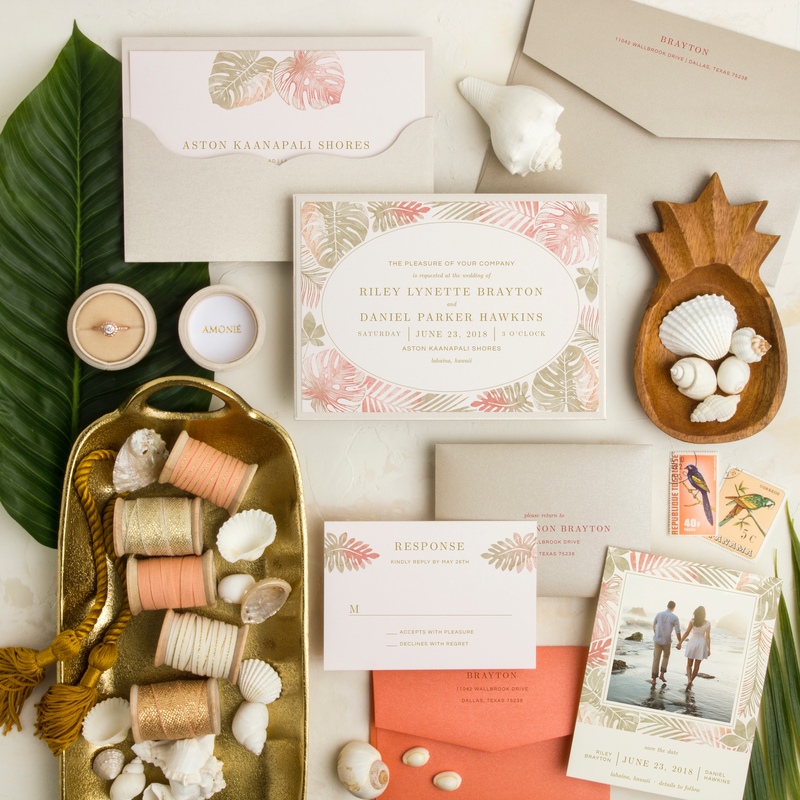 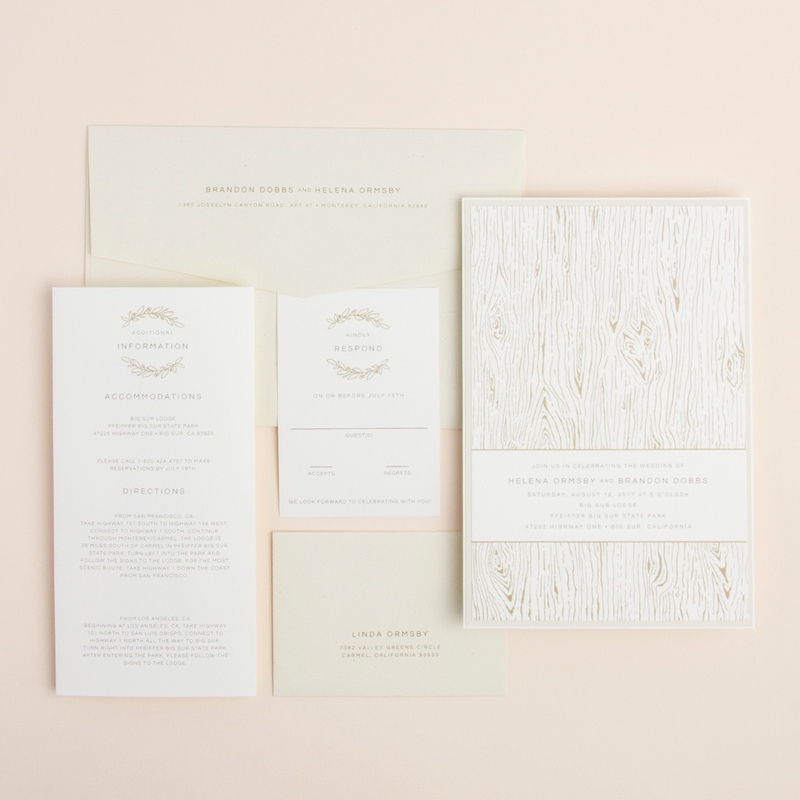 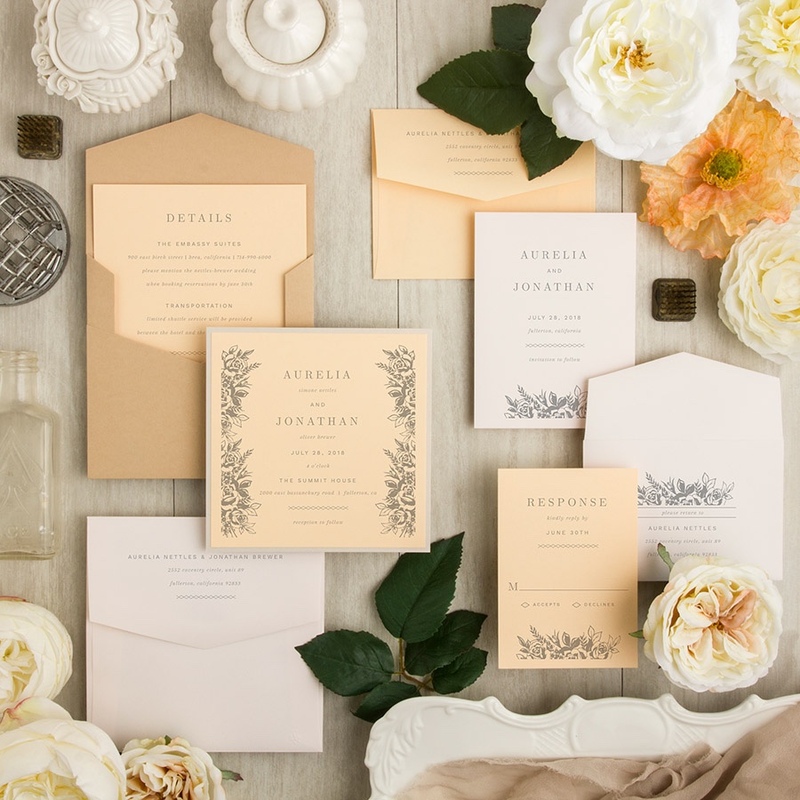 With hundreds of colors to choose from, including silver, gold, and white inks, you can use these photos simply for inspiration for your own one-of-a-kind wedding suite. 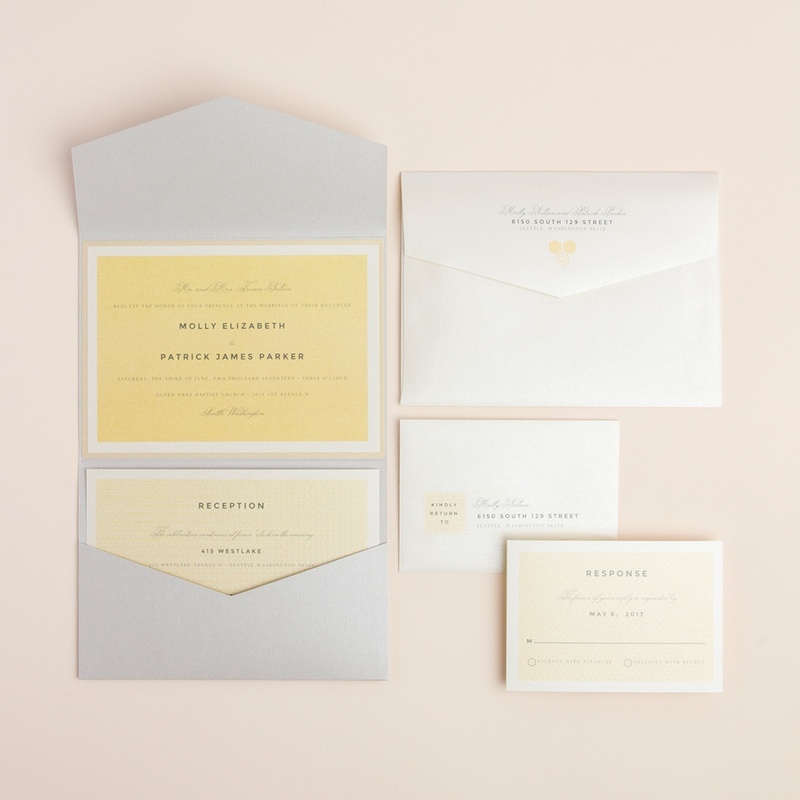 Invitations in the Envelopments line start at about $900 for 100 sets. 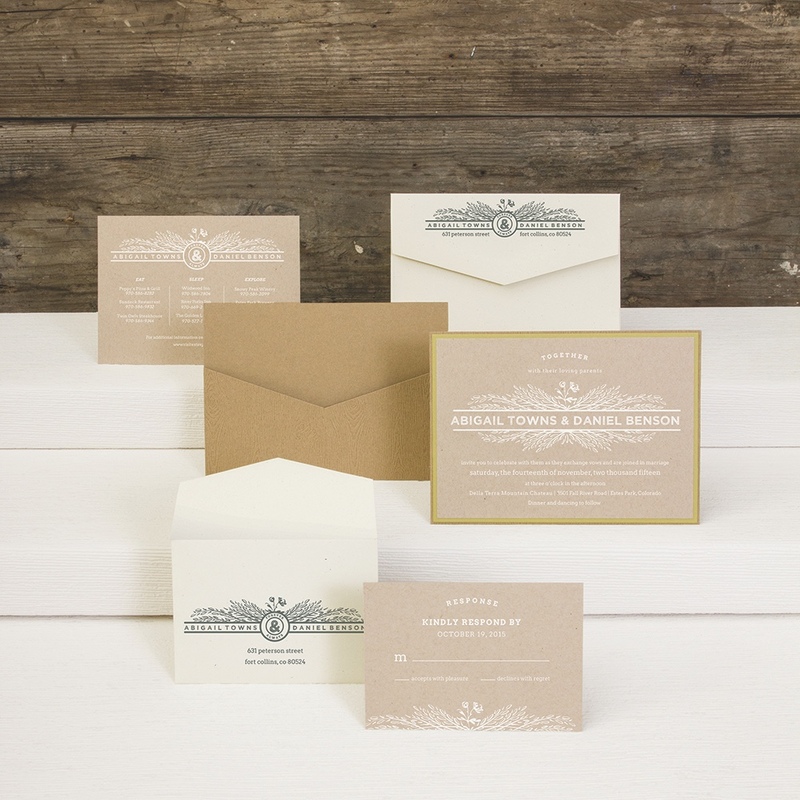 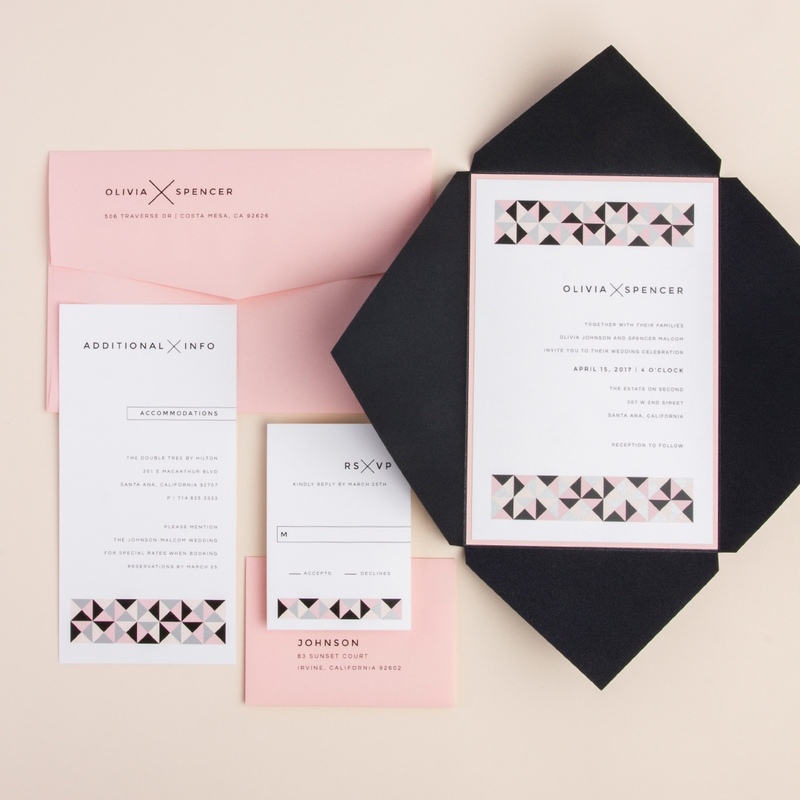 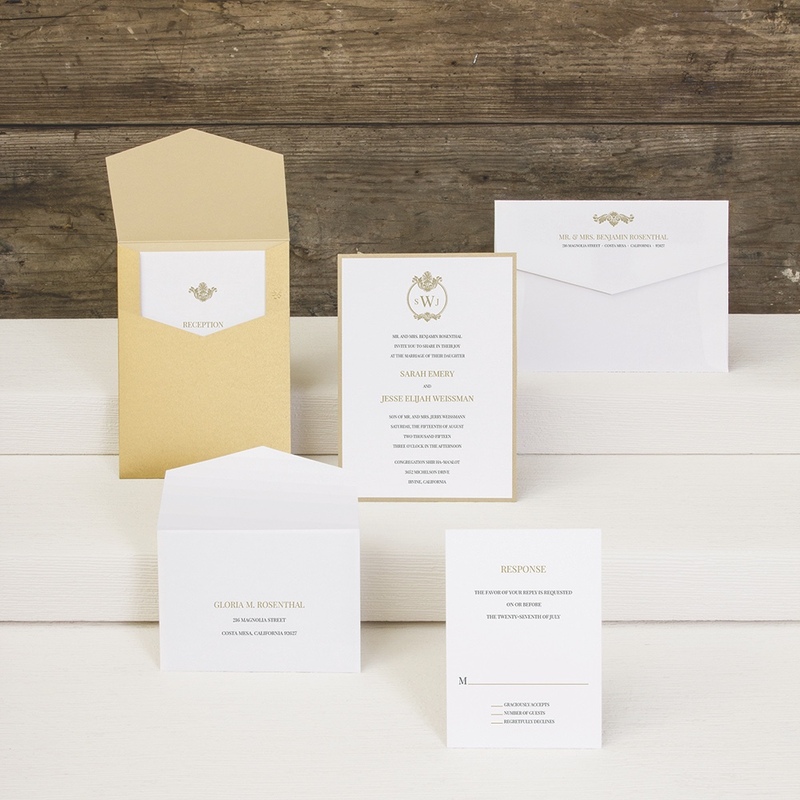 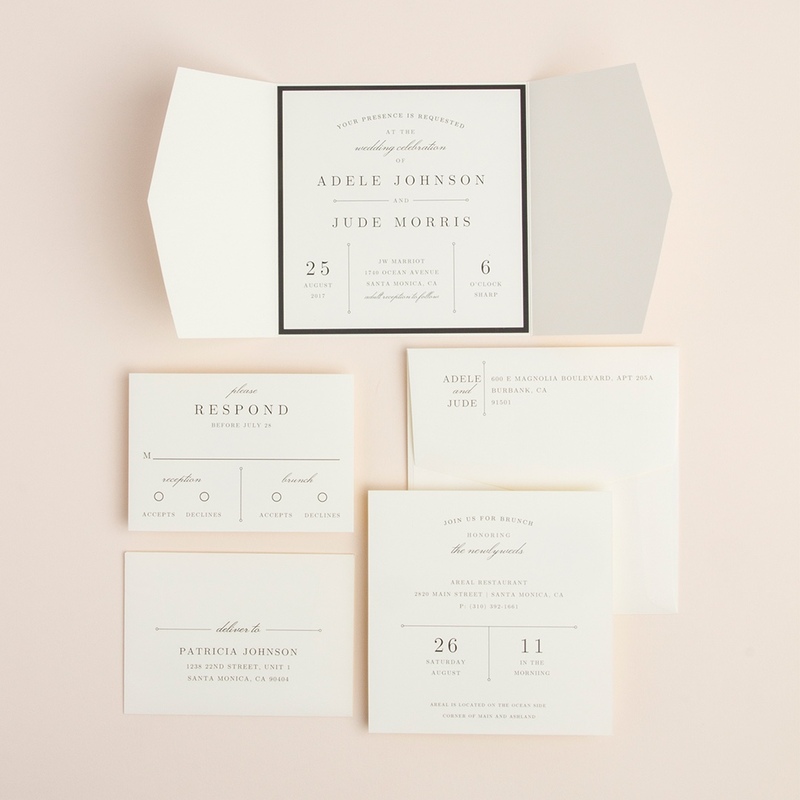 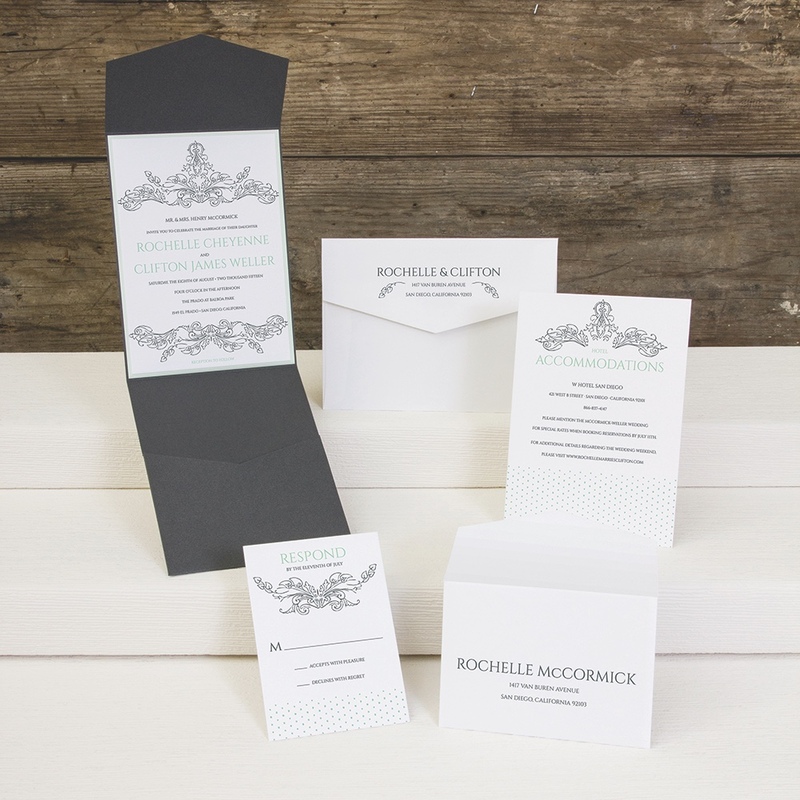 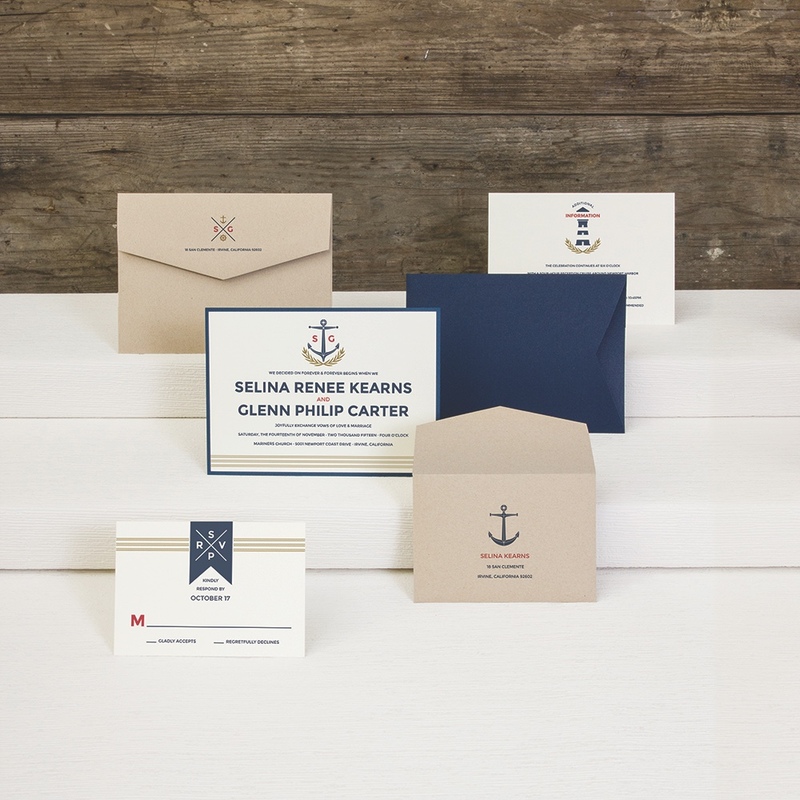 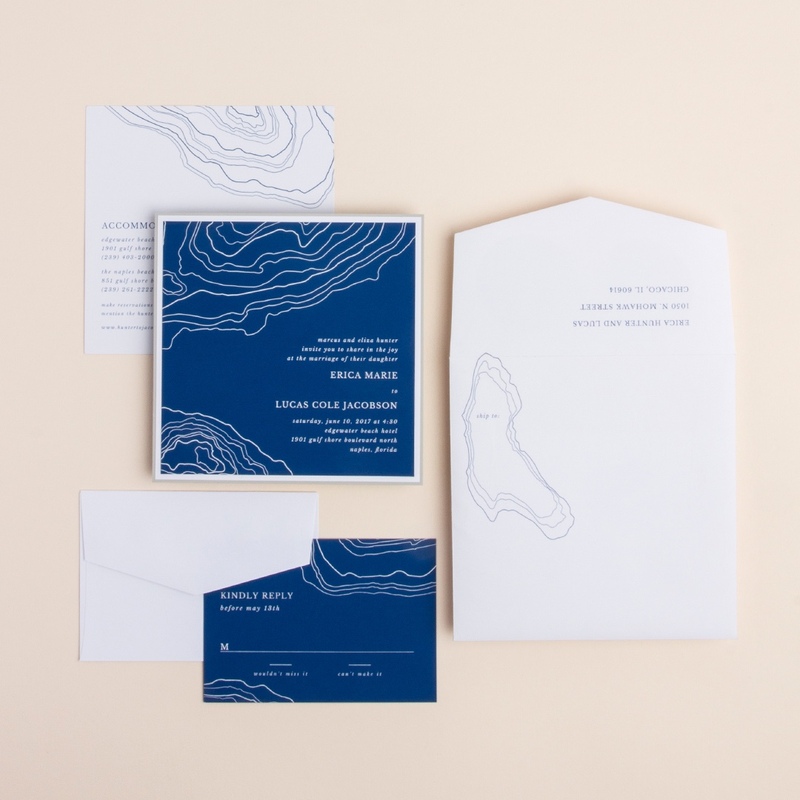 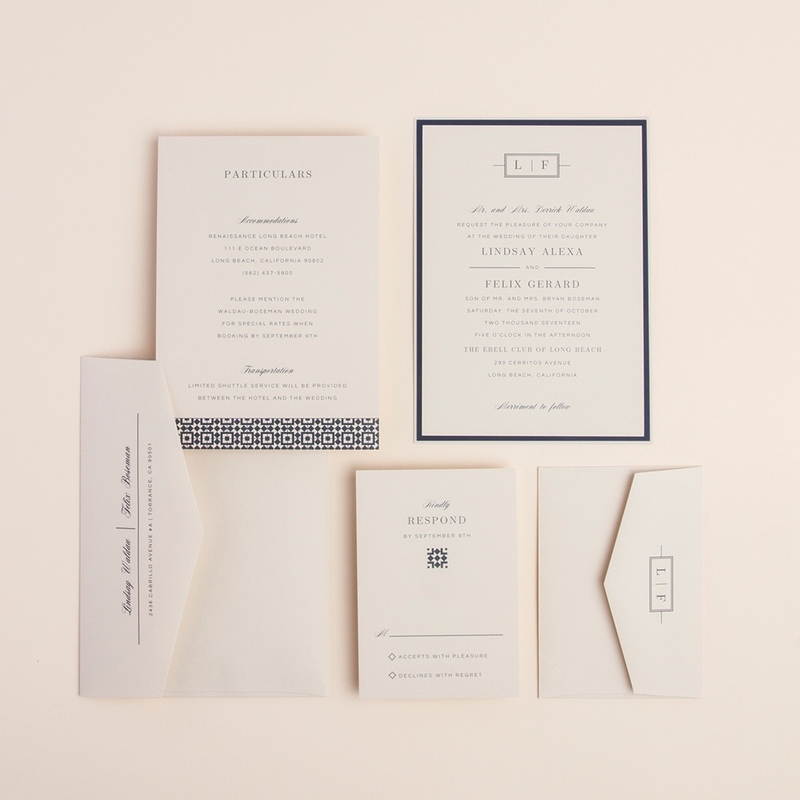 A set includes the outer envelope, invitation card and pocket, response card, and response envelope. 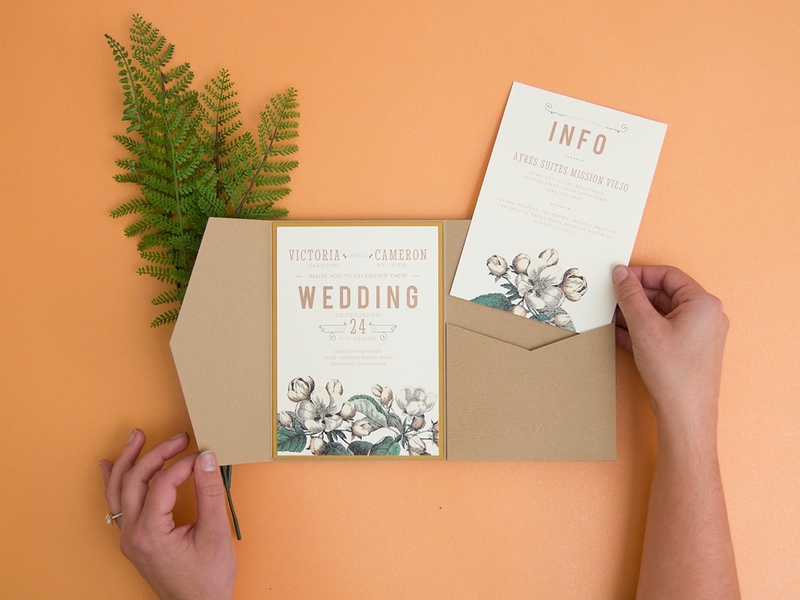 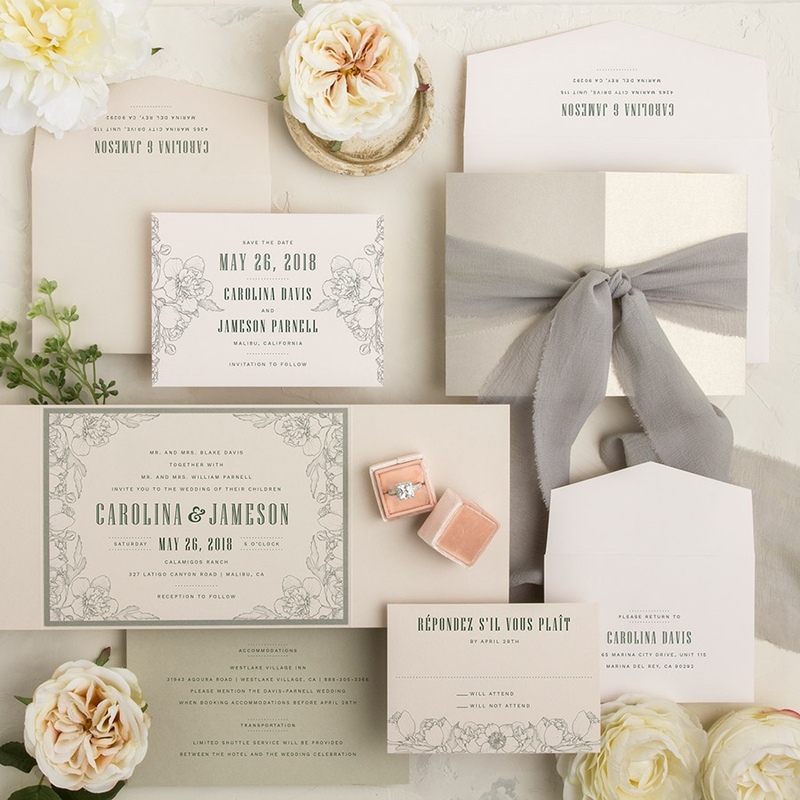 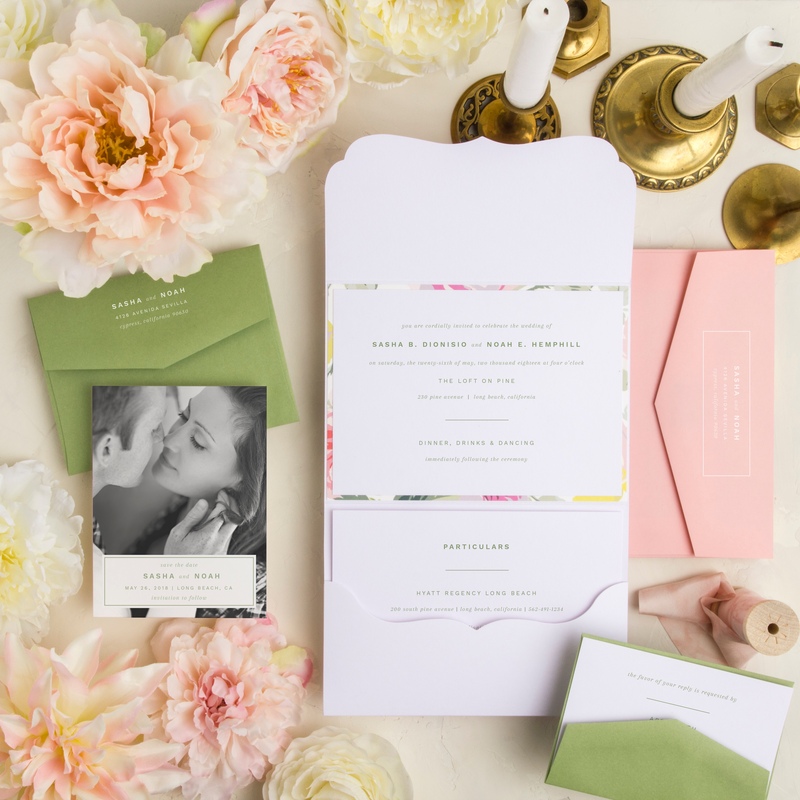 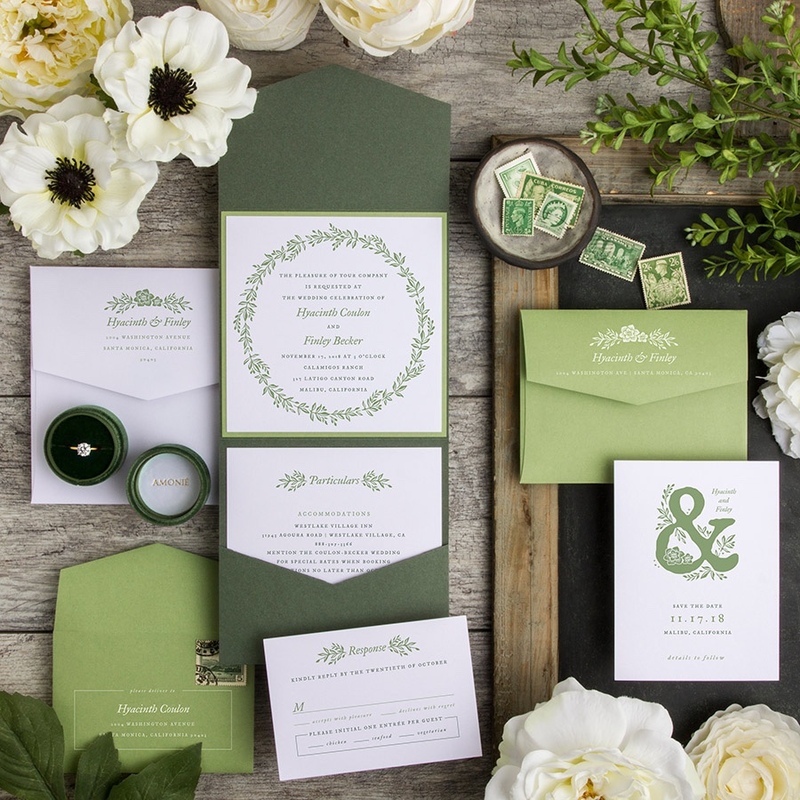 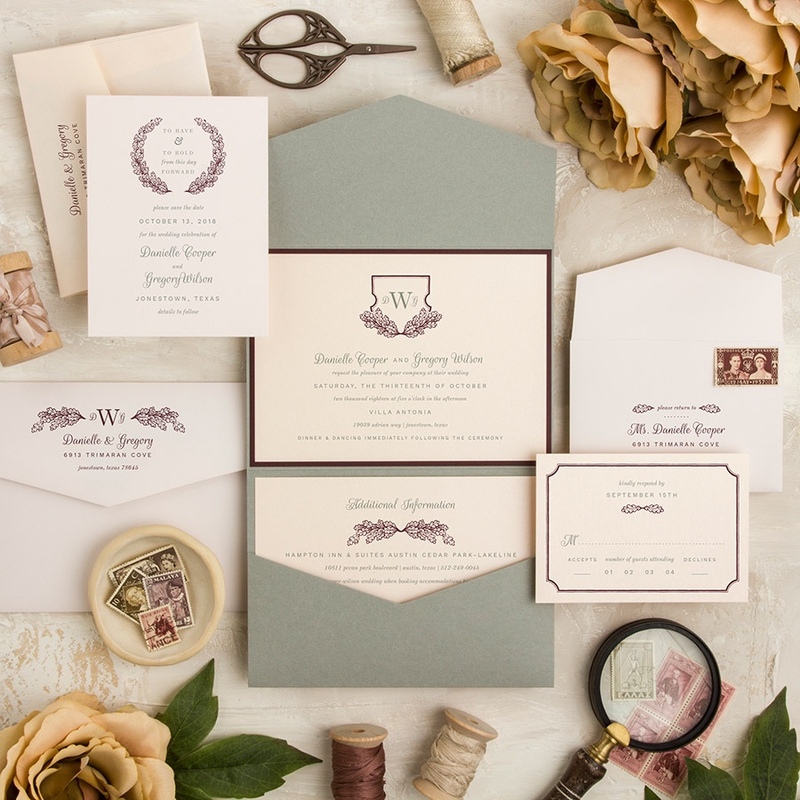 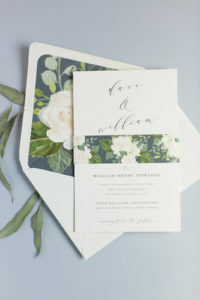 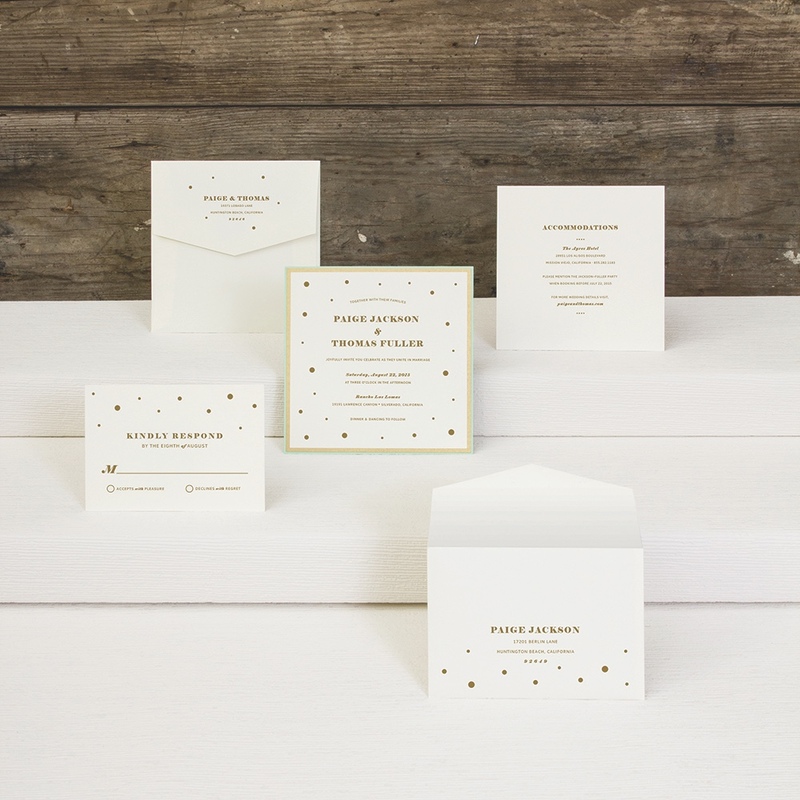 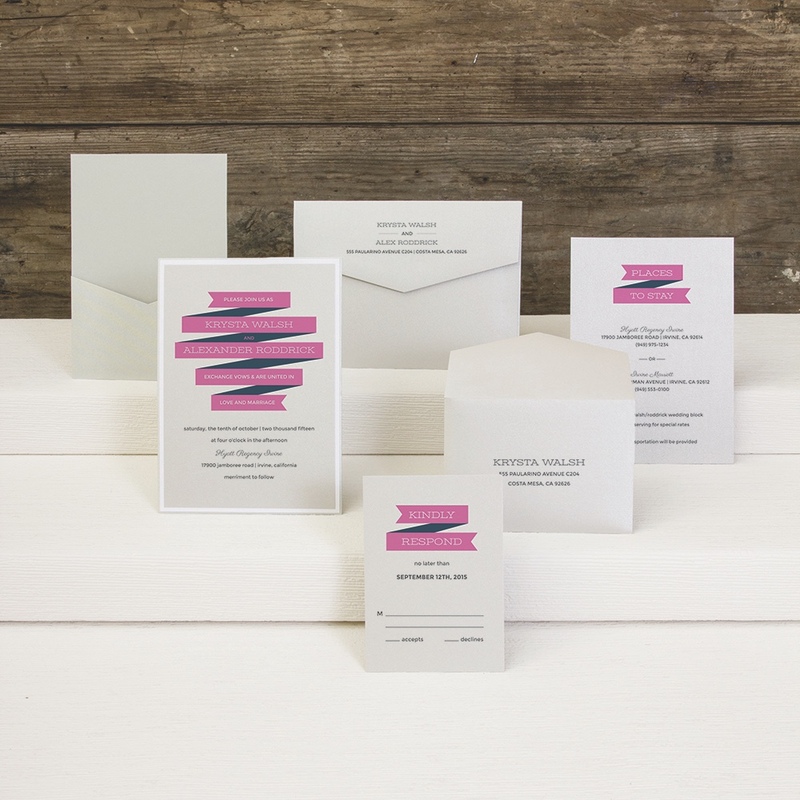 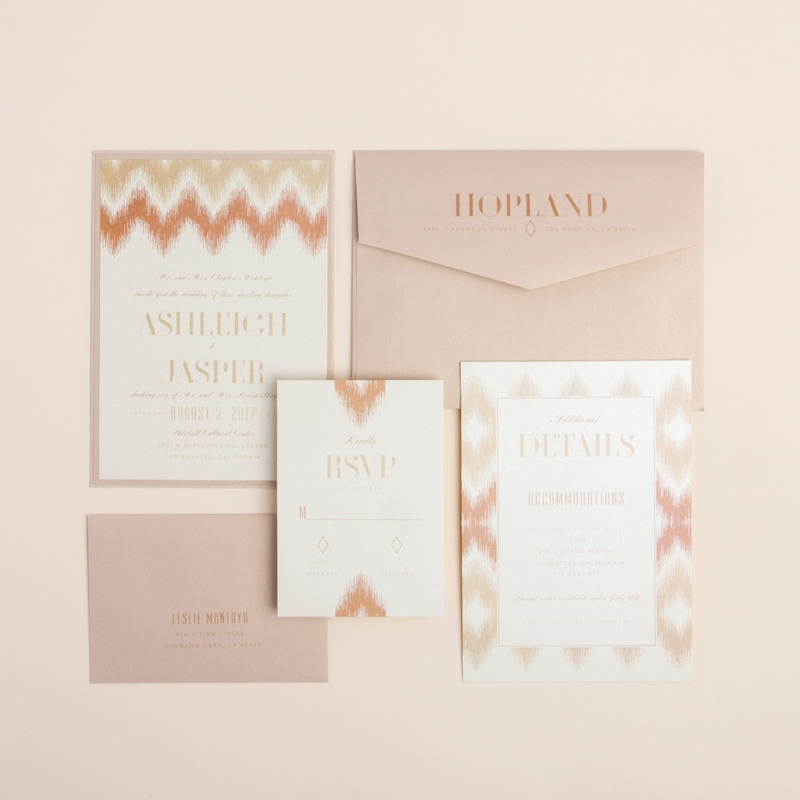 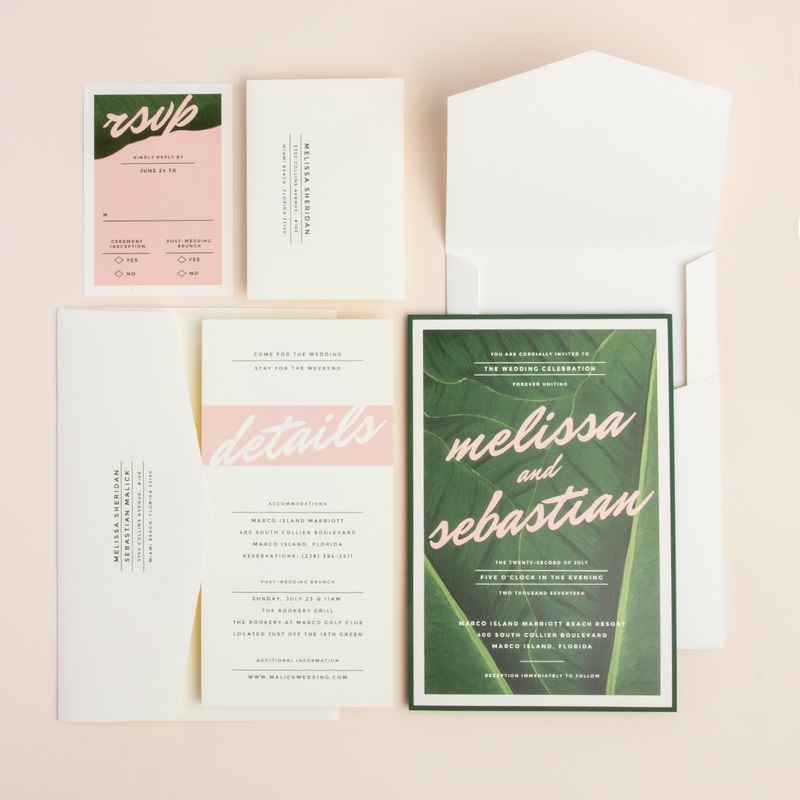 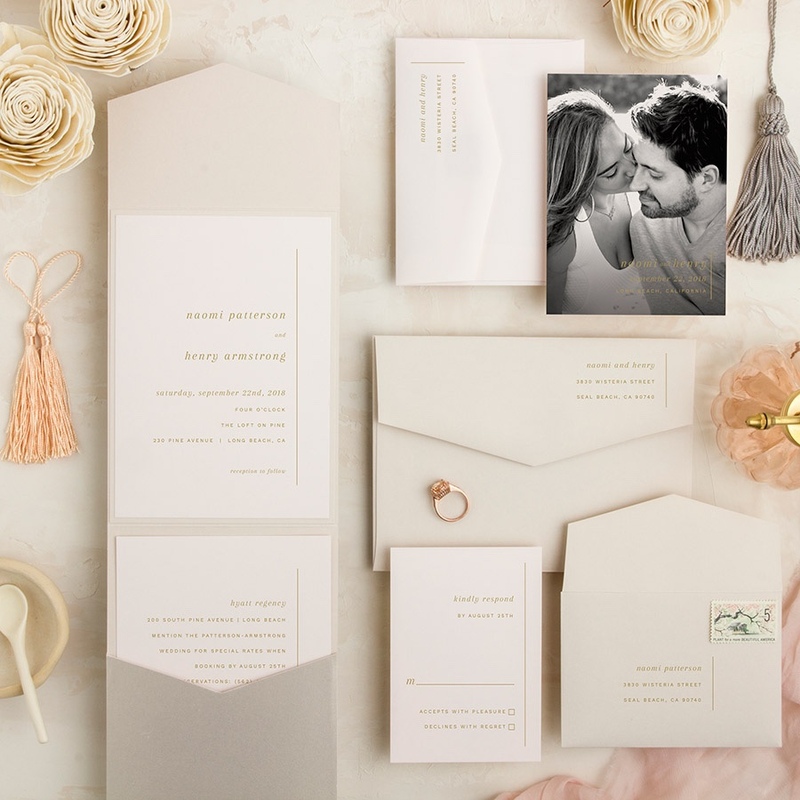 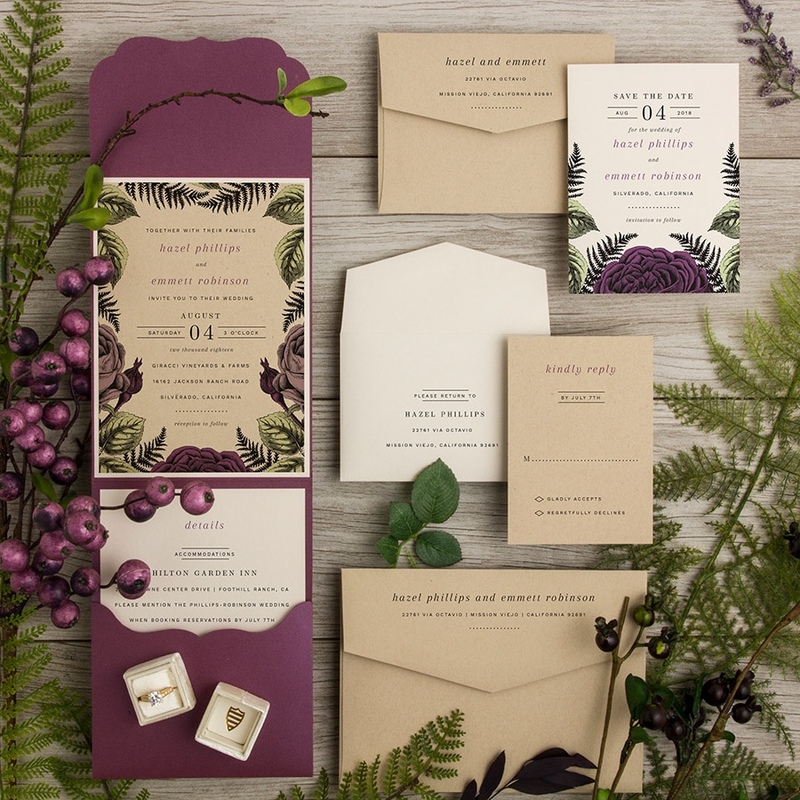 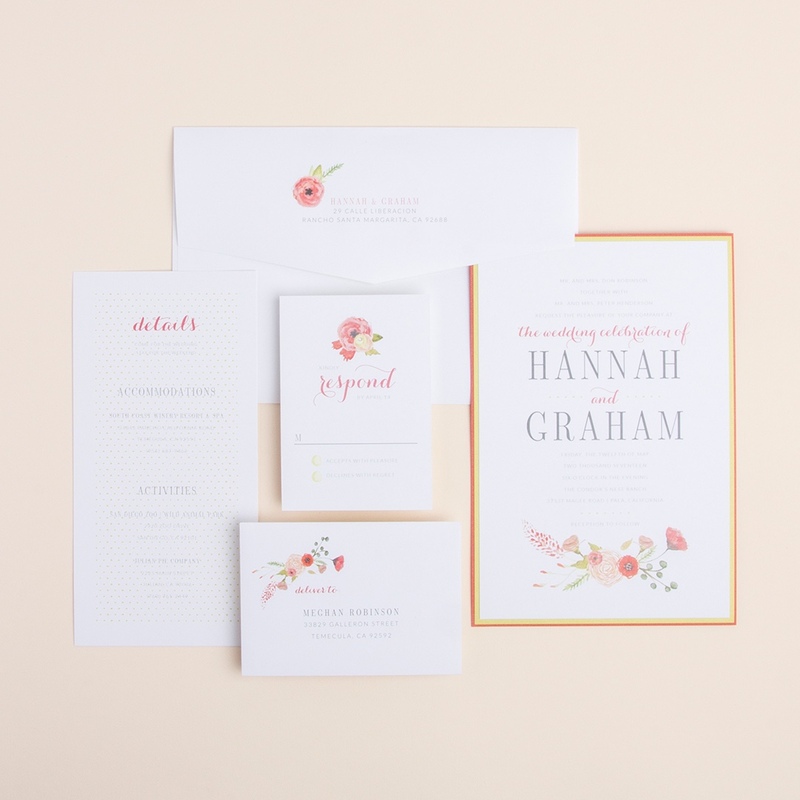 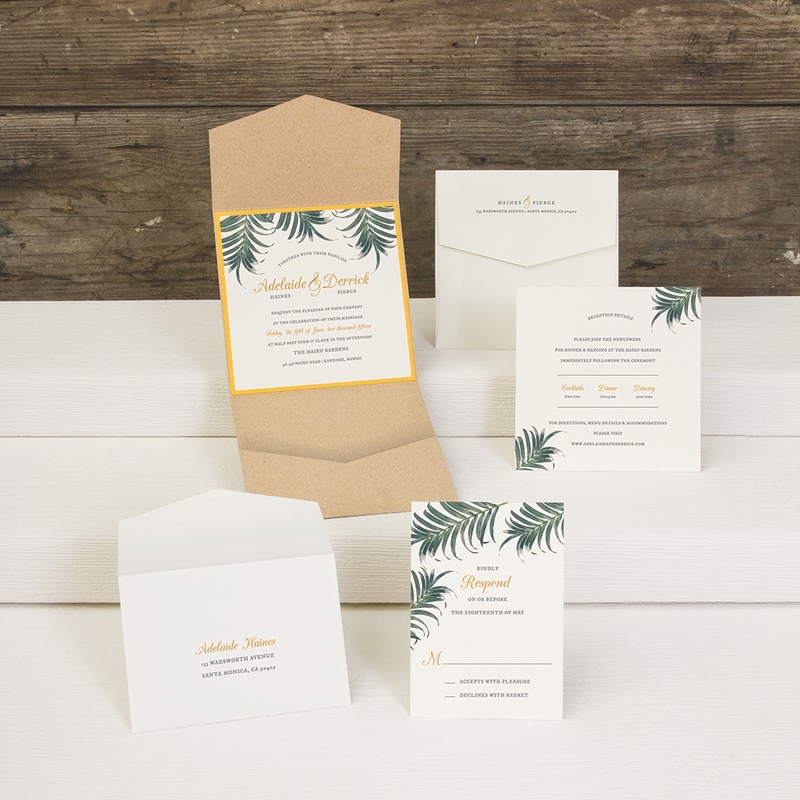 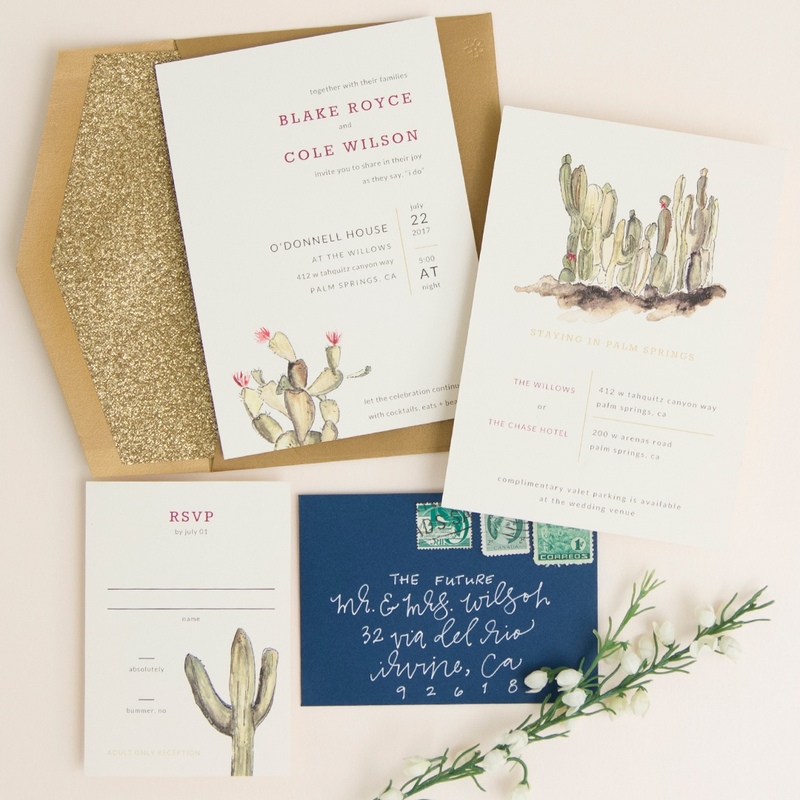 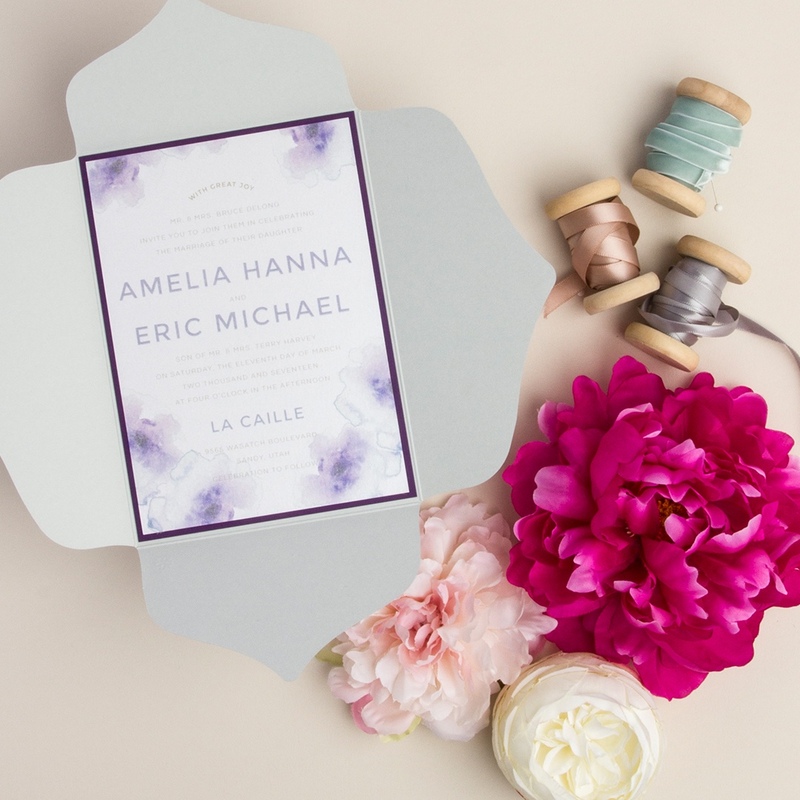 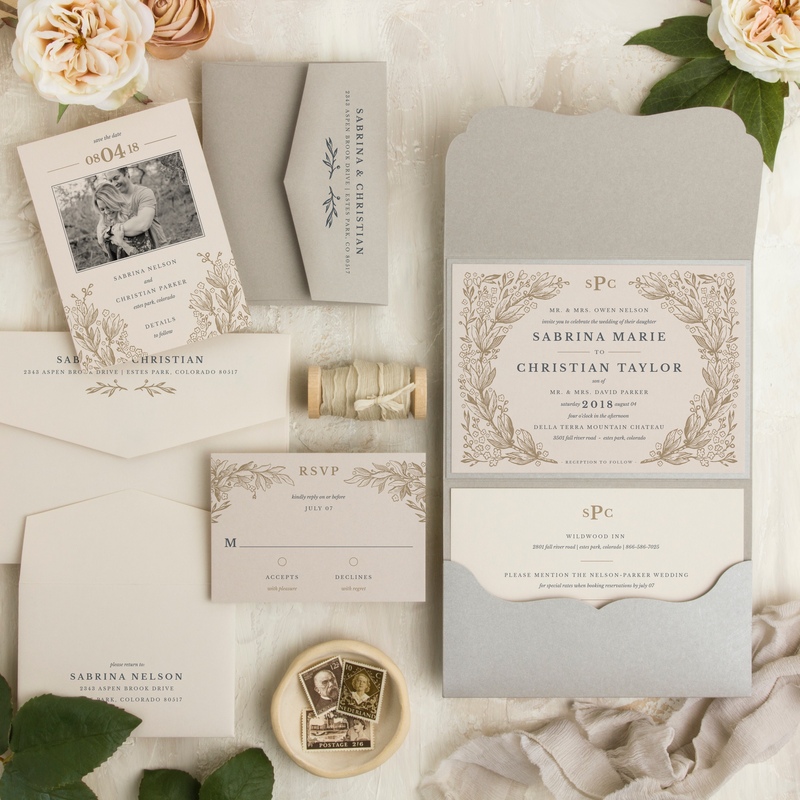 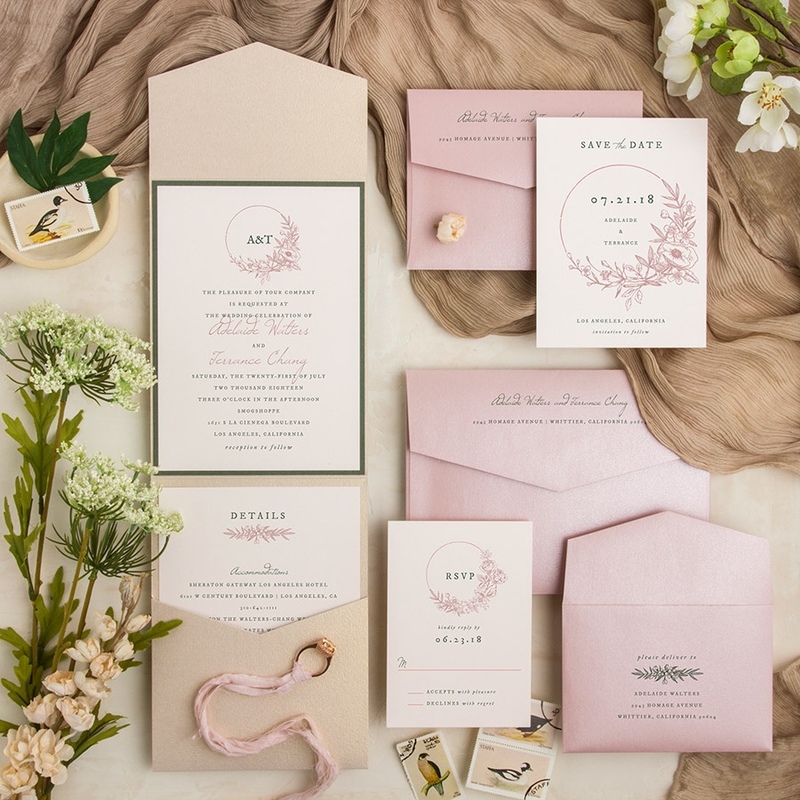 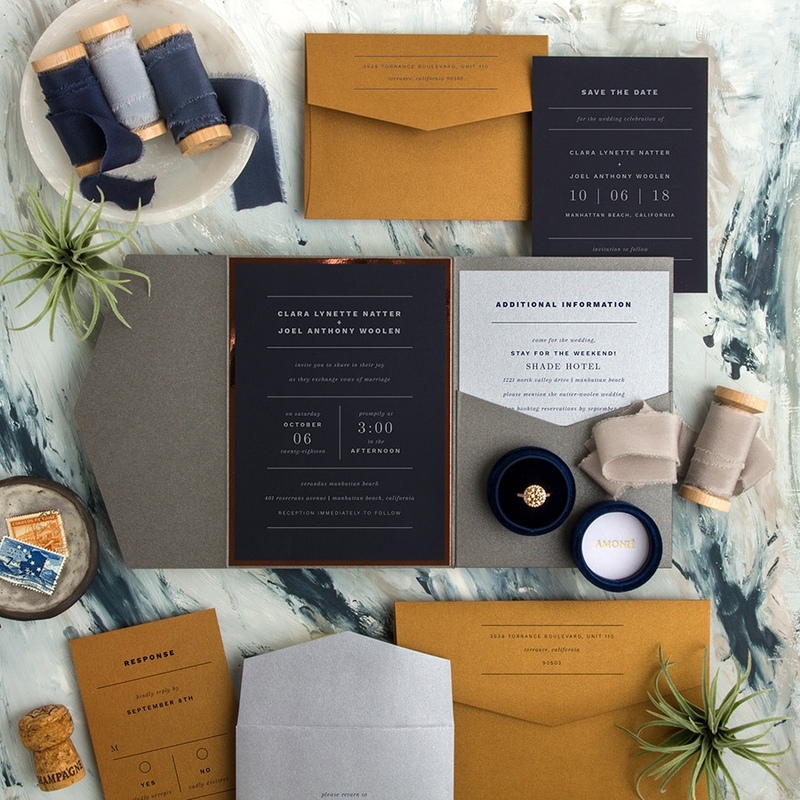 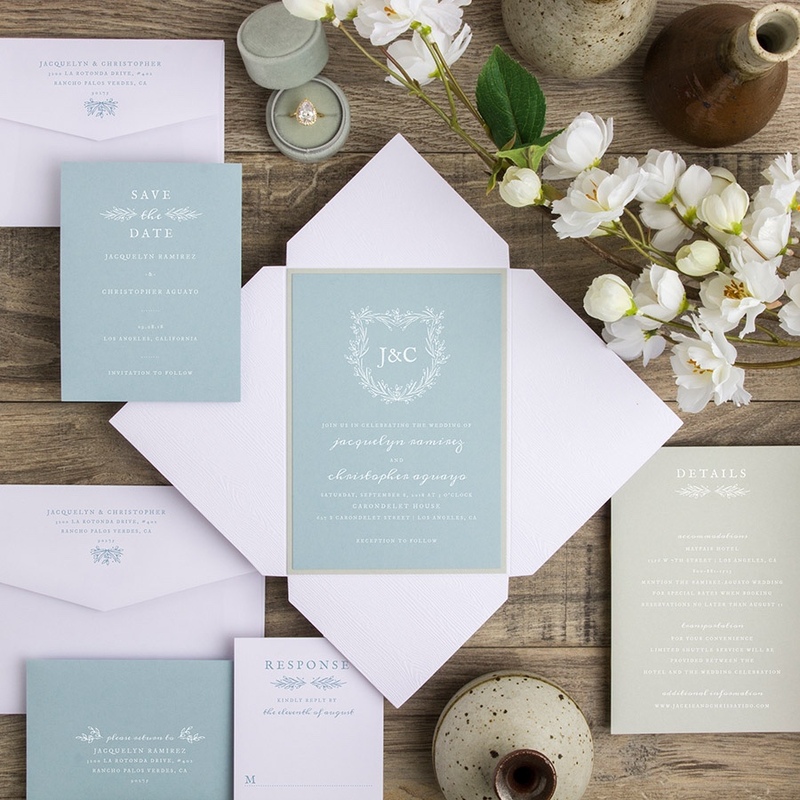 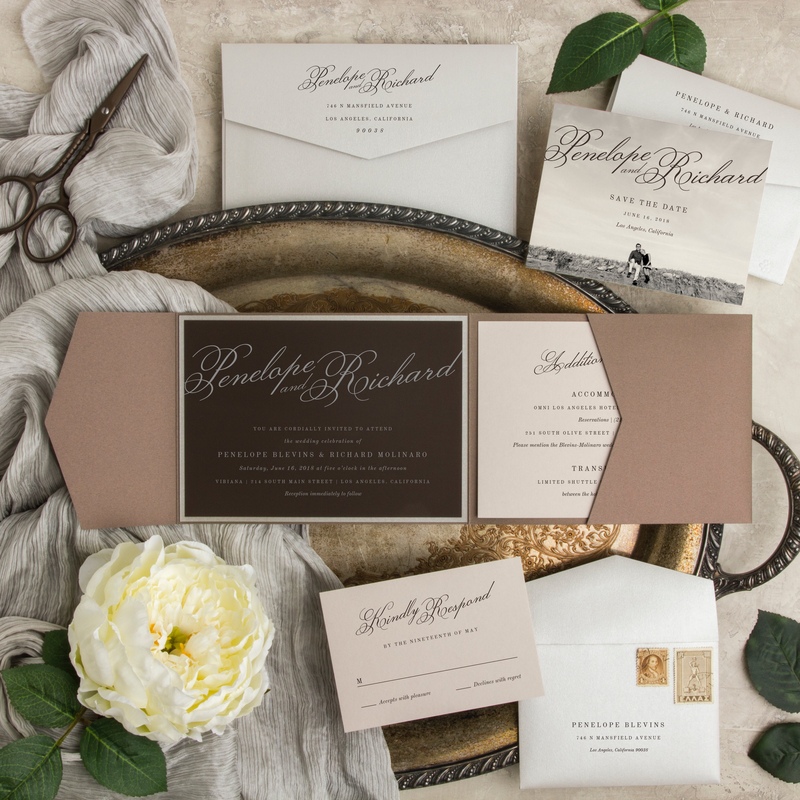 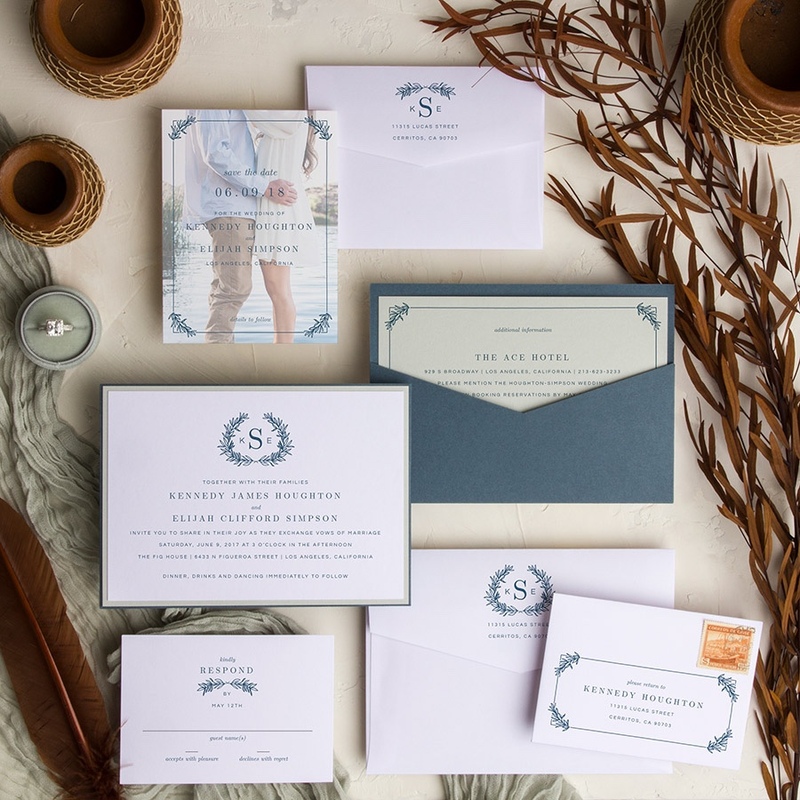 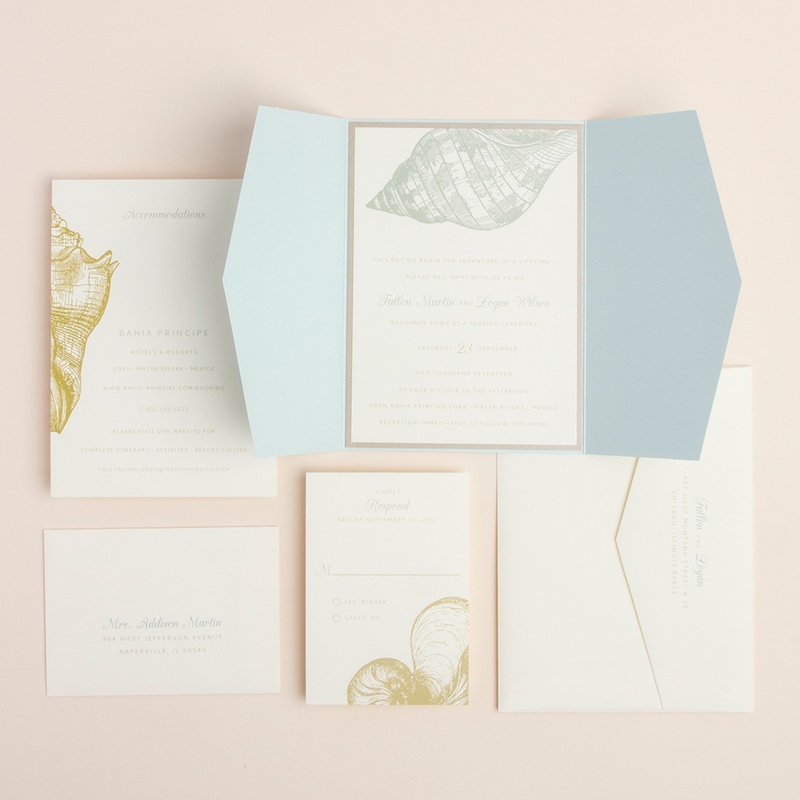 You can request and appointment to view these beautiful invitations in person, or request a quote using the link below to receive a personalized proposal for the invitation suite you love. 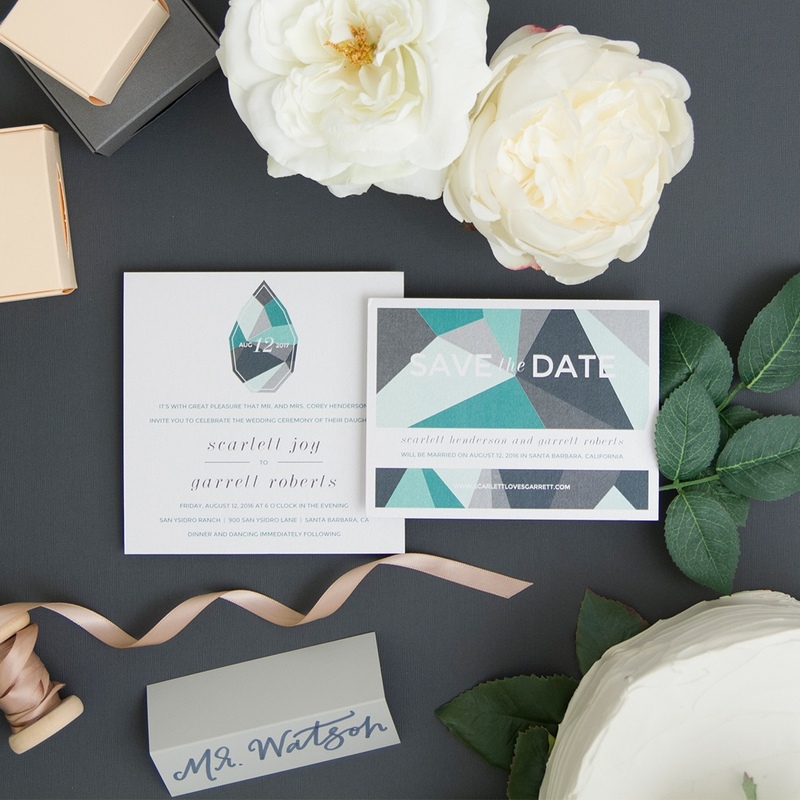 Once you’ve received our proposal, you’ll be able to initiate your order, view and sign your contract, and make your payment directly from your secure client portal on our website. 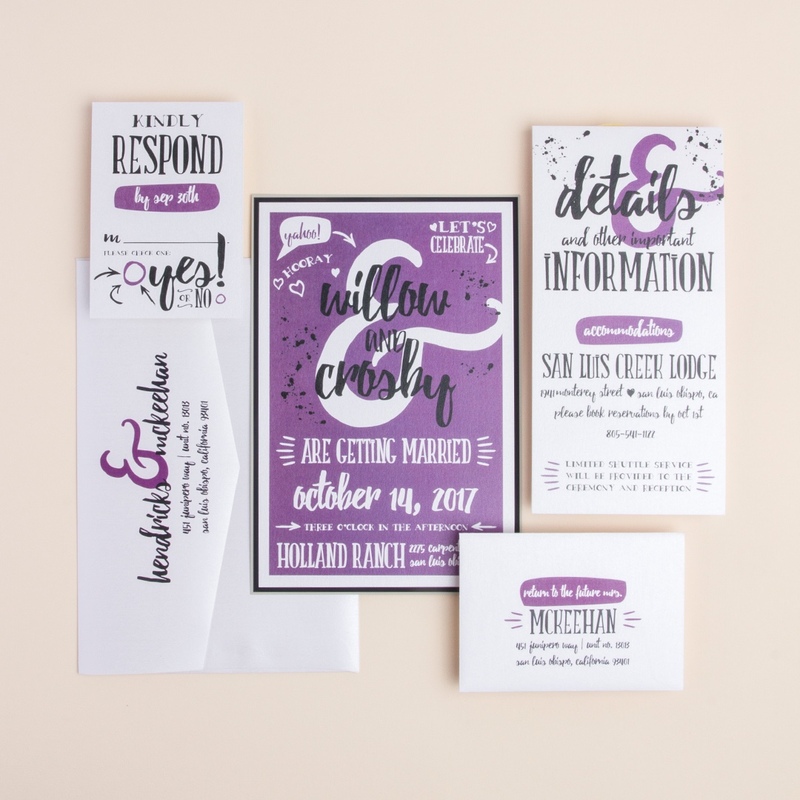 If you’ve ordered an item directly from the line with no customizations except for colors and font styles, you can expect to see PDF proofs within 3 business days. 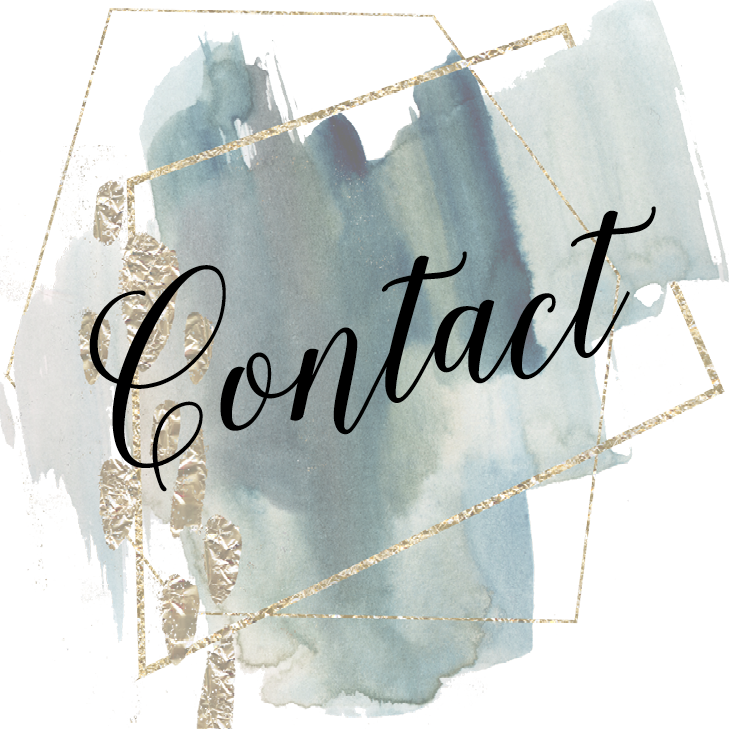 For custom work, the time will vary depending on the amount of work required. 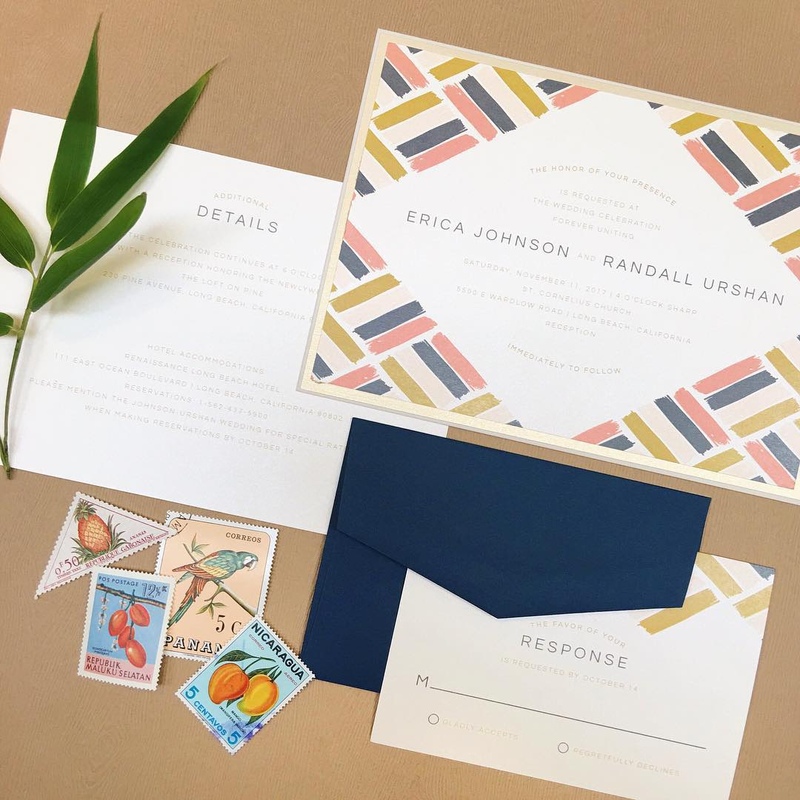 Two rounds of revisions, resulting in three total proofs per piece, are included with your order to ensure all your needs are met. 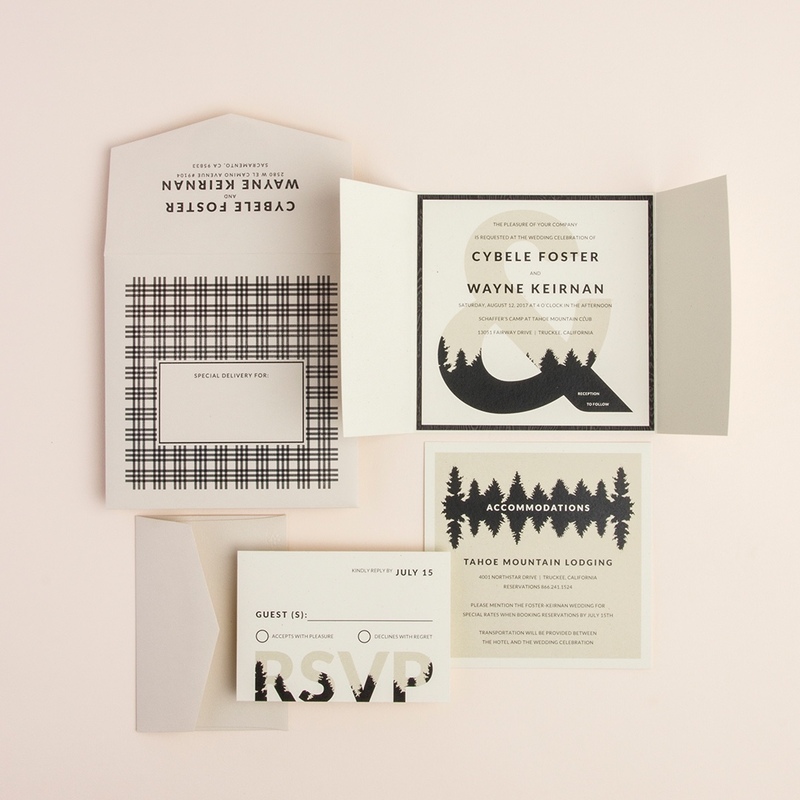 A $10 charge per proof will apply after the second proof, for each item in your order. 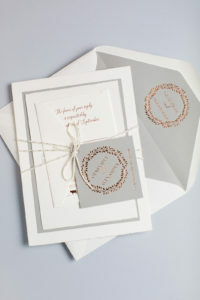 Your order will be ready to ship or pick up about 10 days from proof approval.